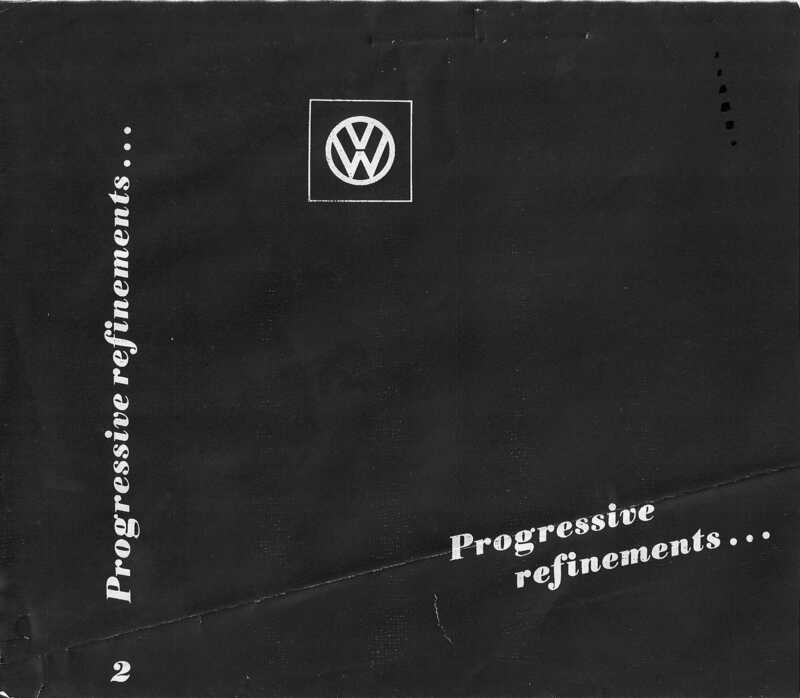 This supplement book extends the first and covers type1/2/3 VW's from 1962 until 1968. 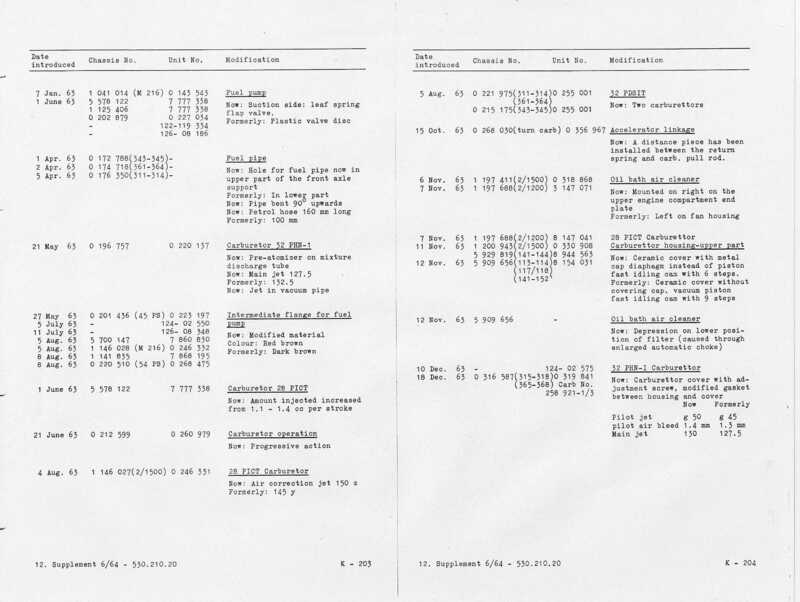 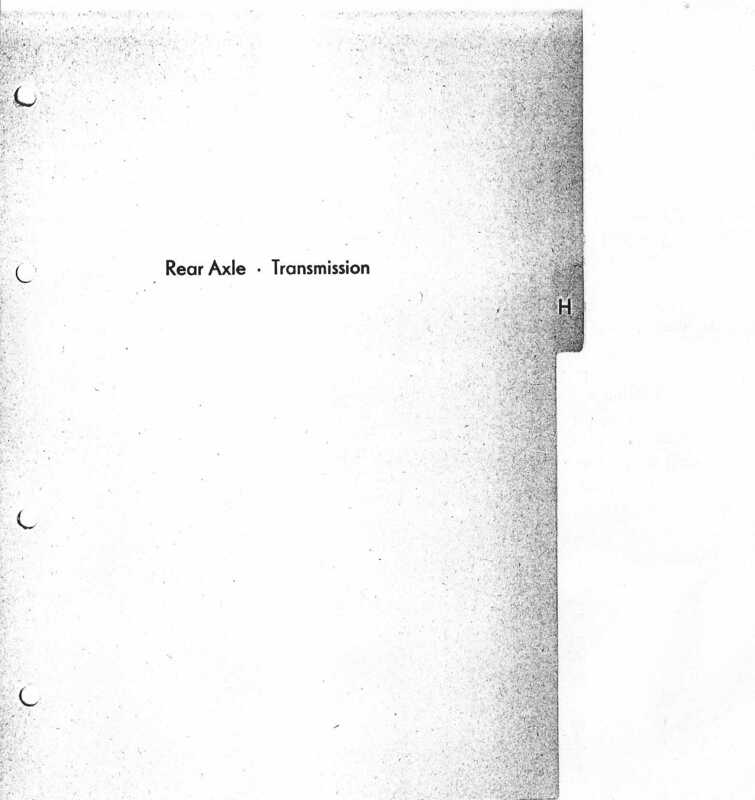 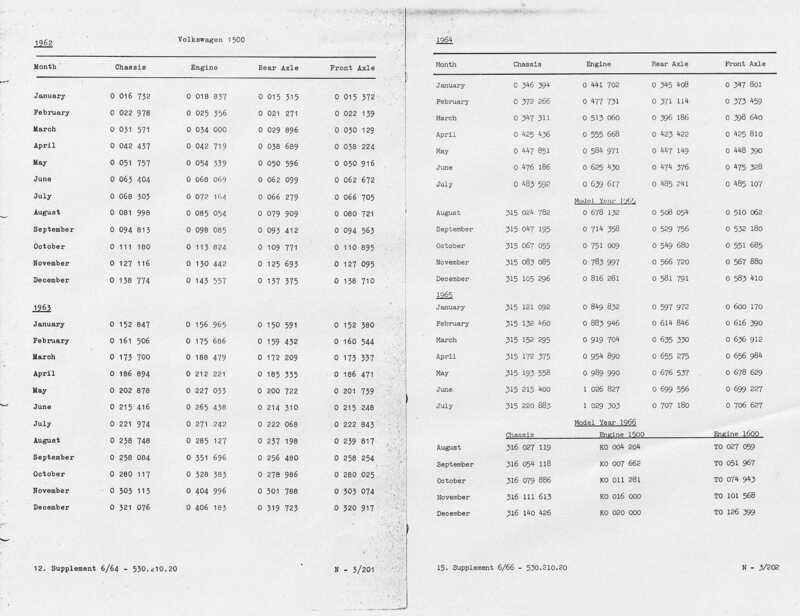 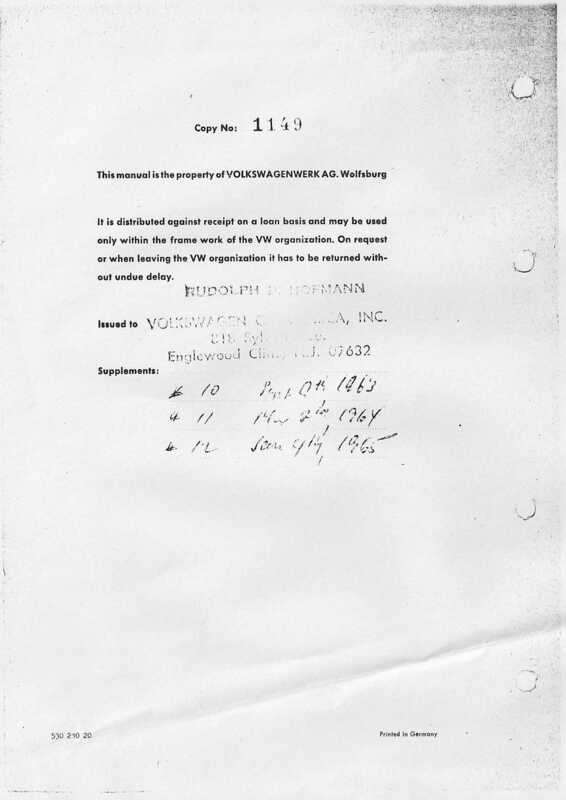 The book's pages have tables of information that show the incremental changes put in place by Volkswagen during production. 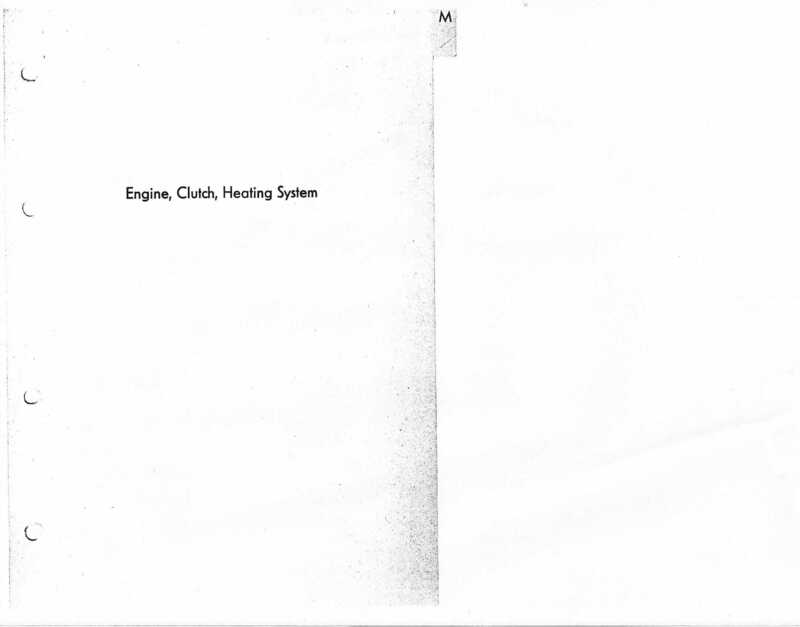 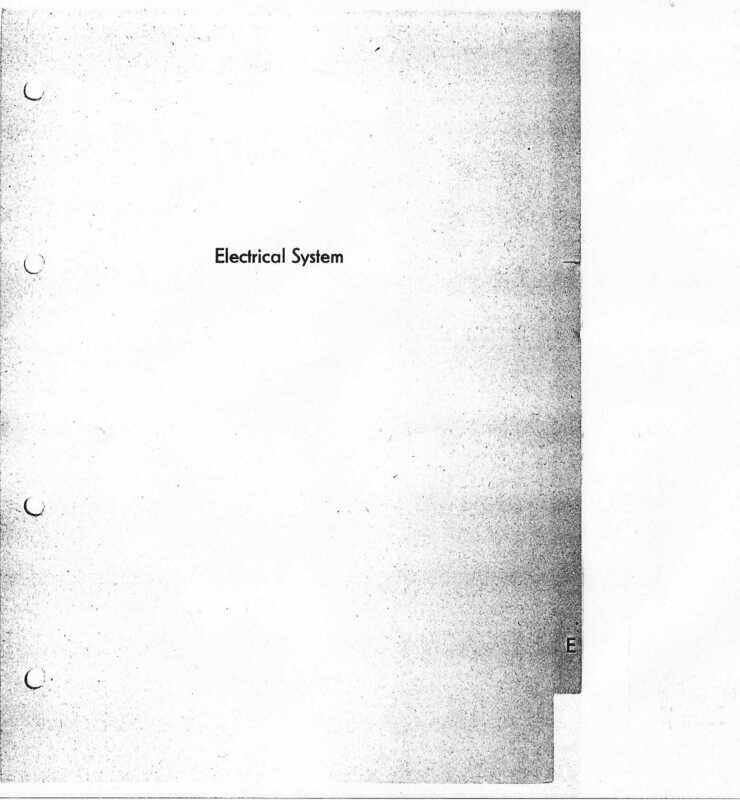 The manual is broken into chapters that cover the main groups common in other VW manuals. 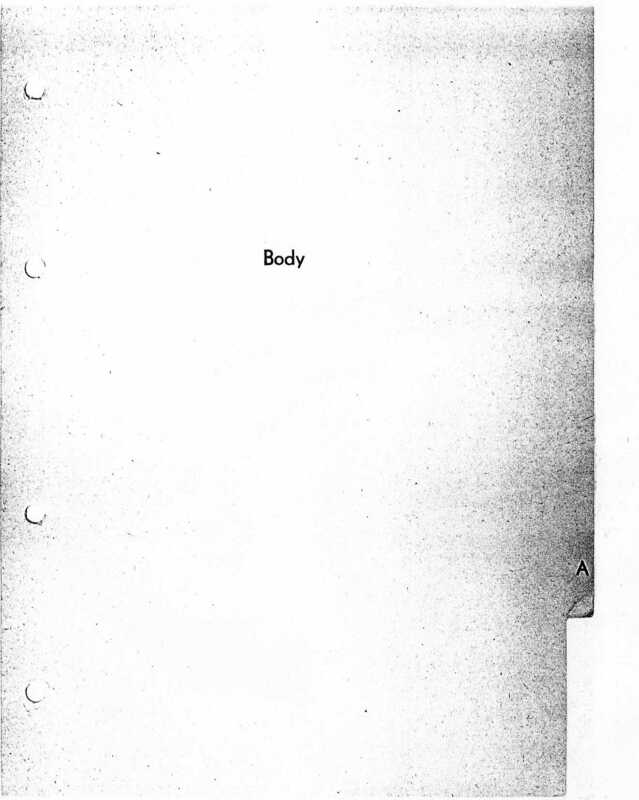 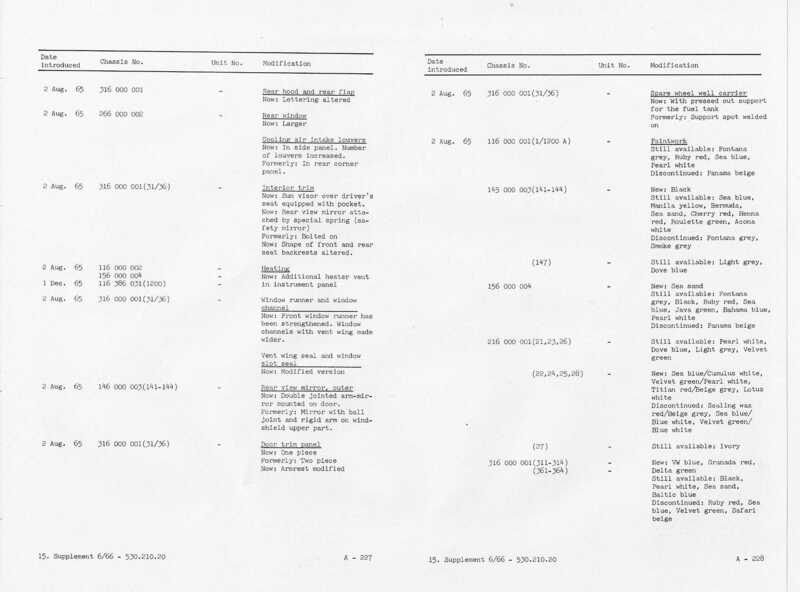 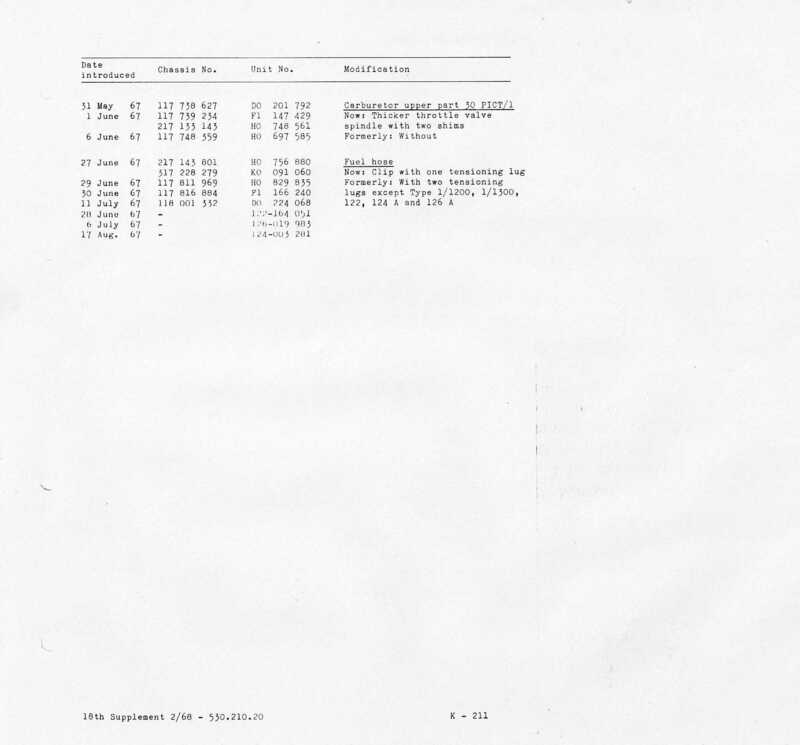 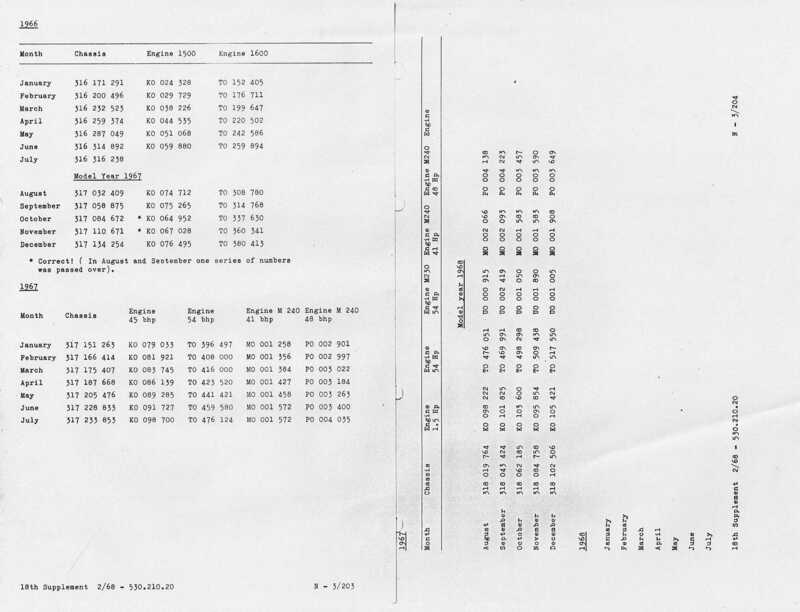 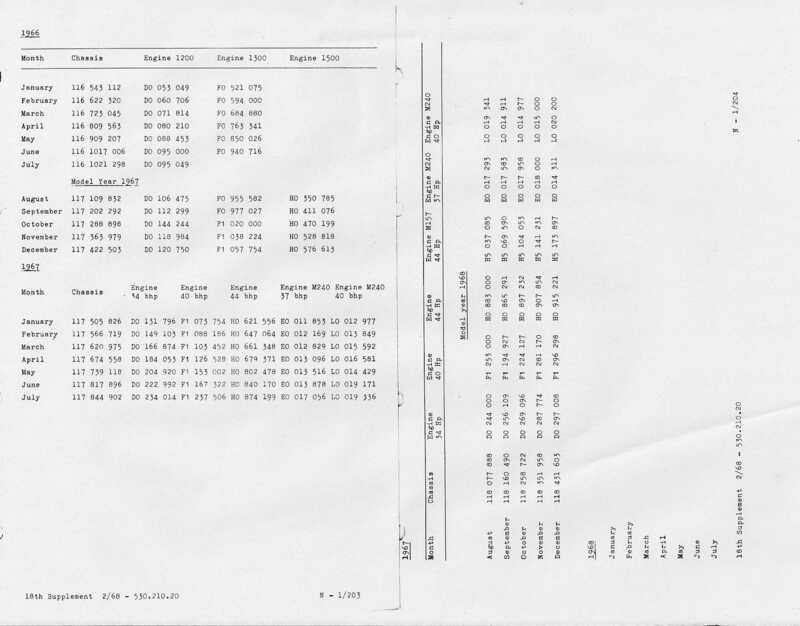 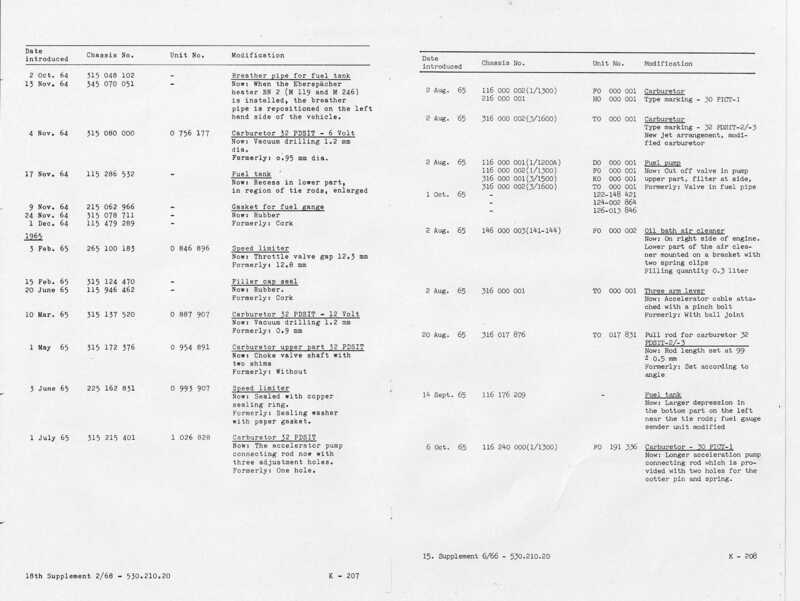 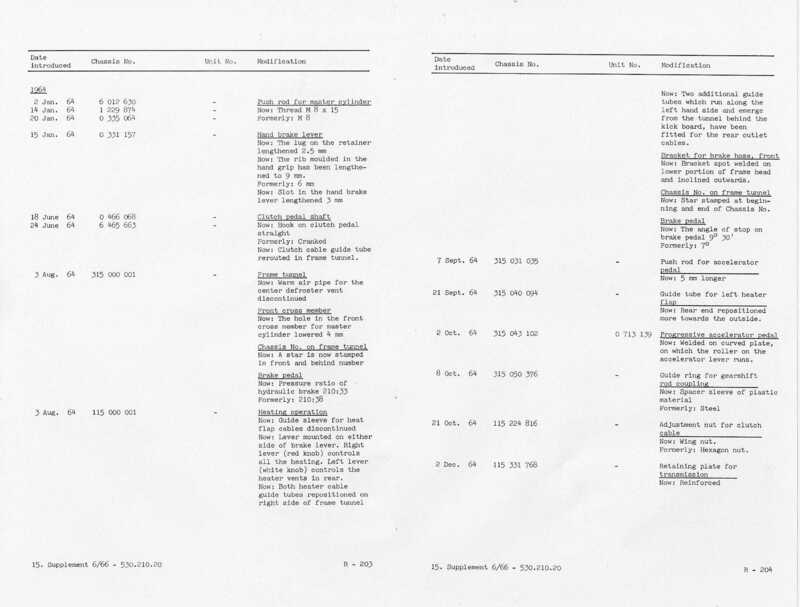 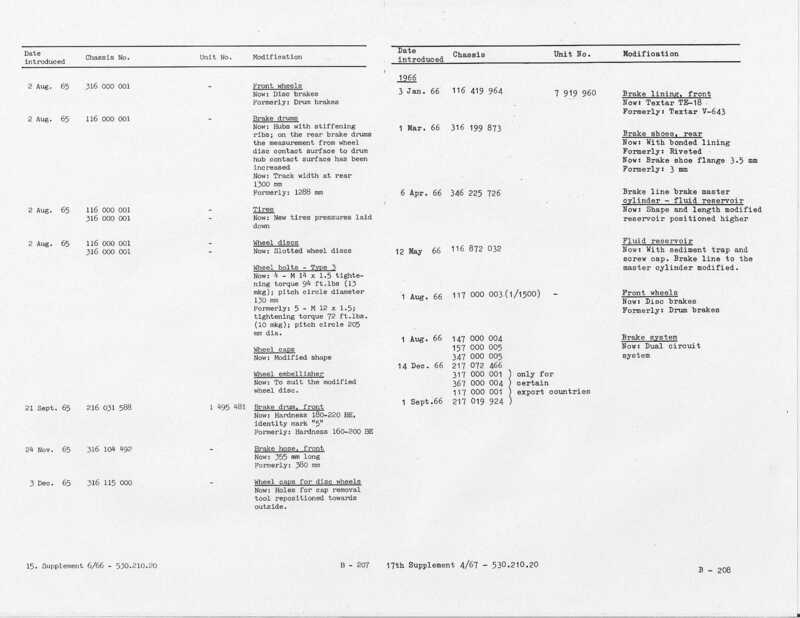 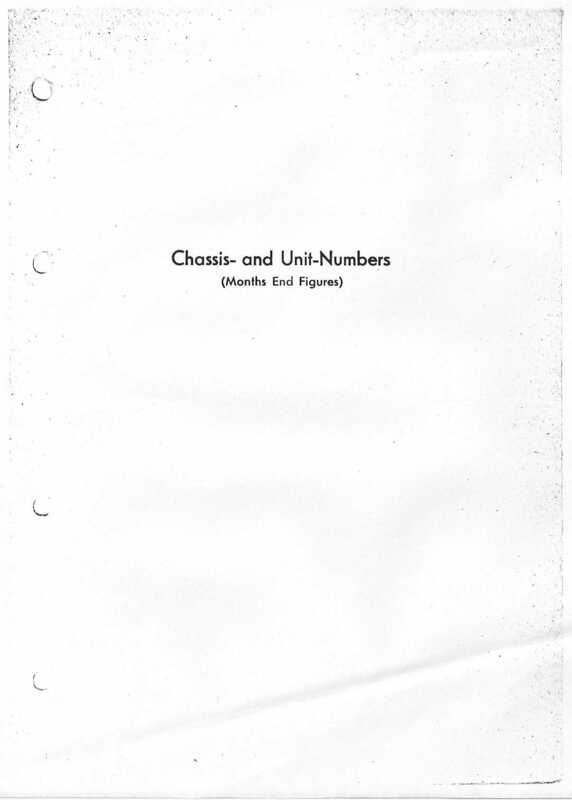 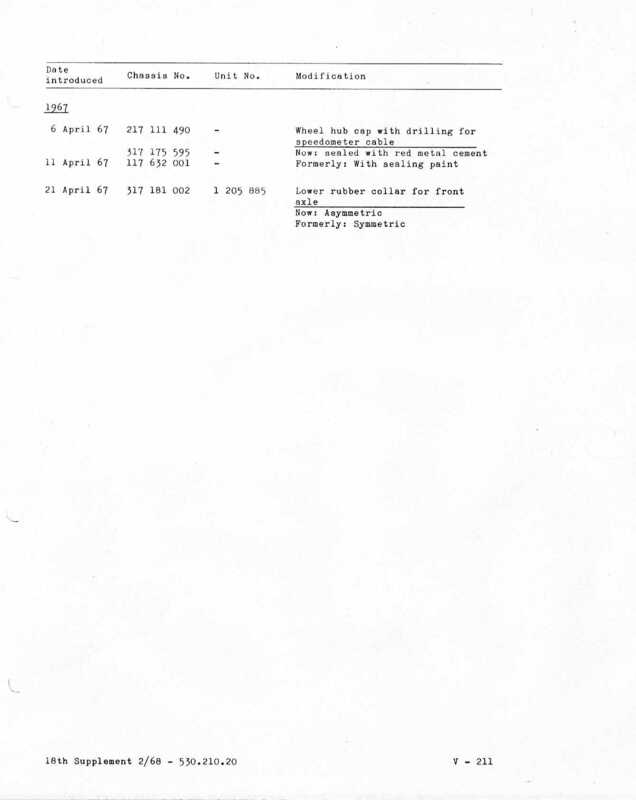 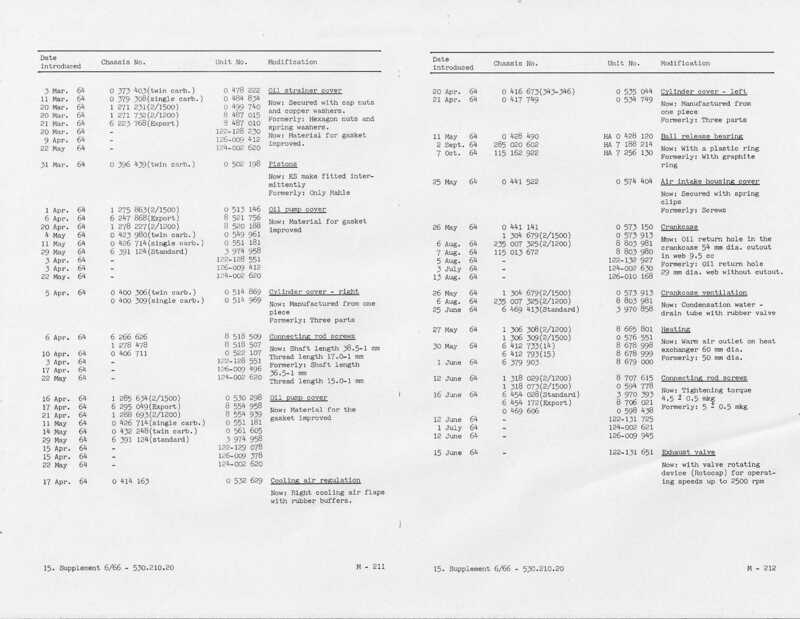 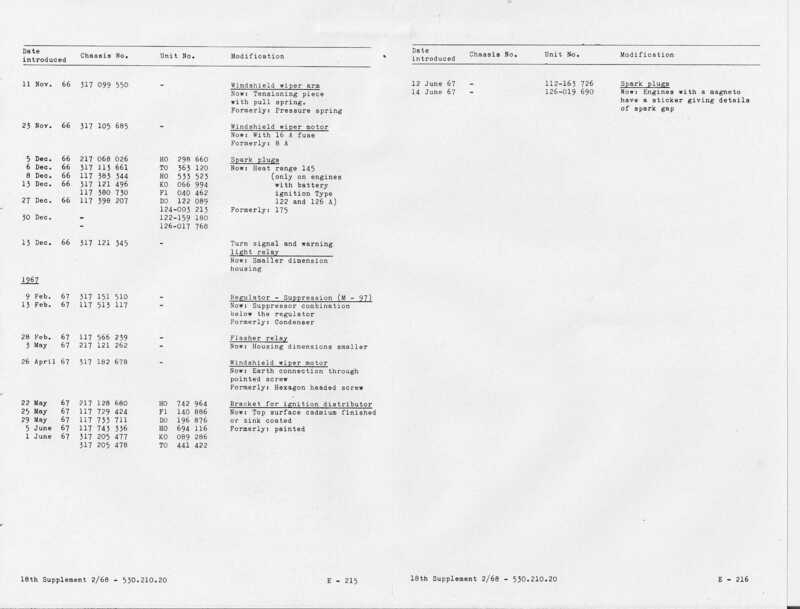 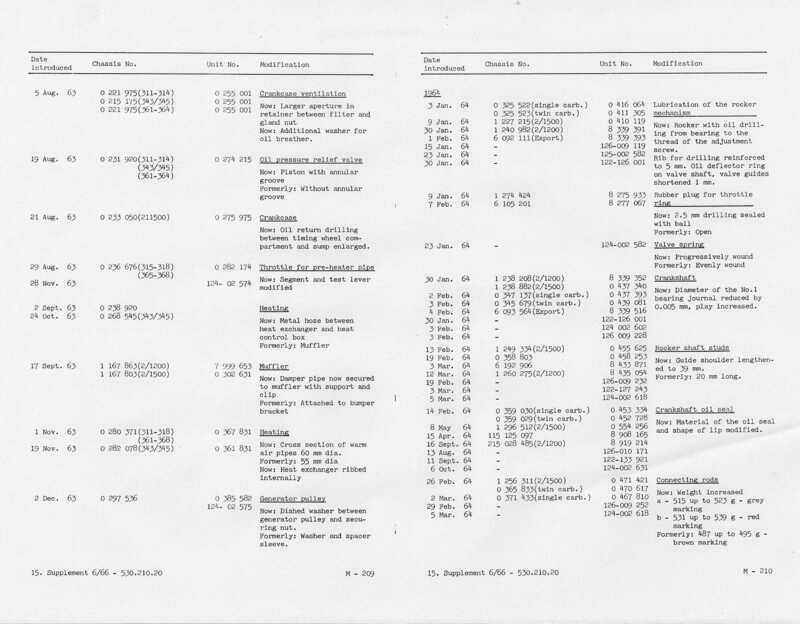 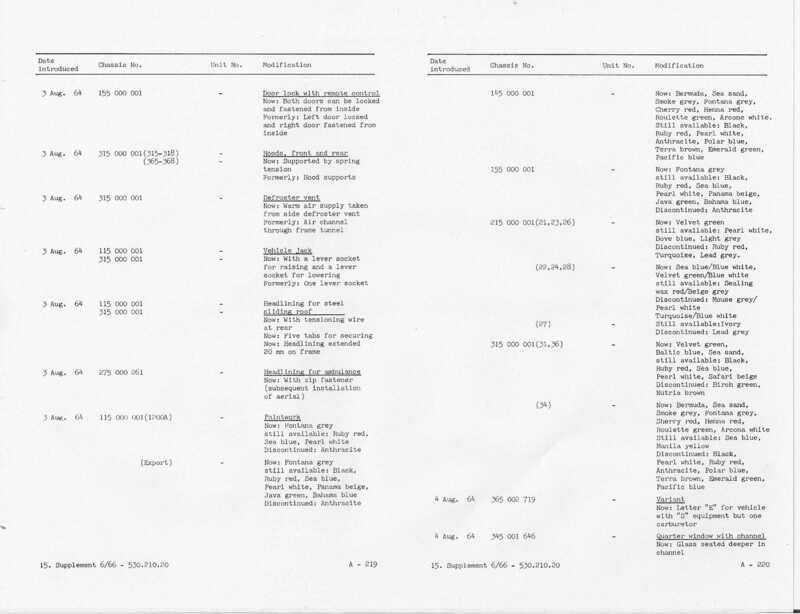 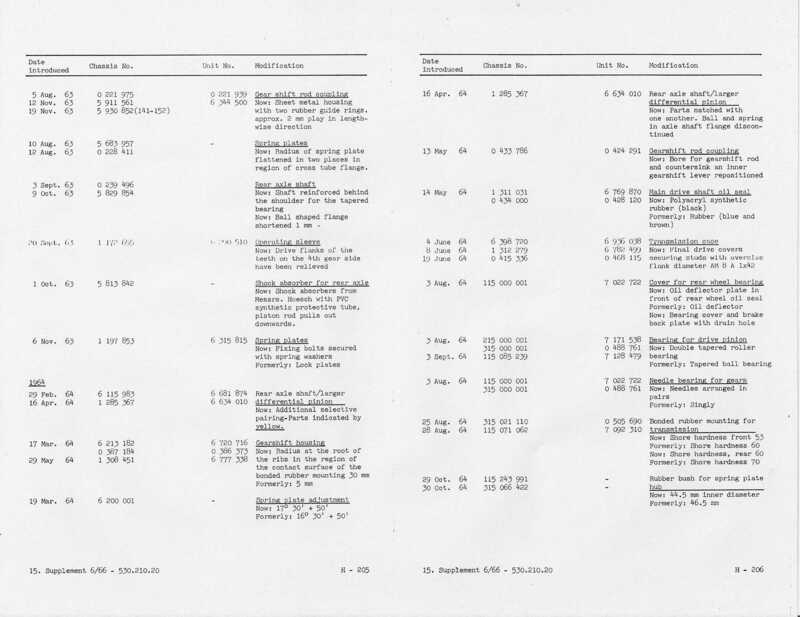 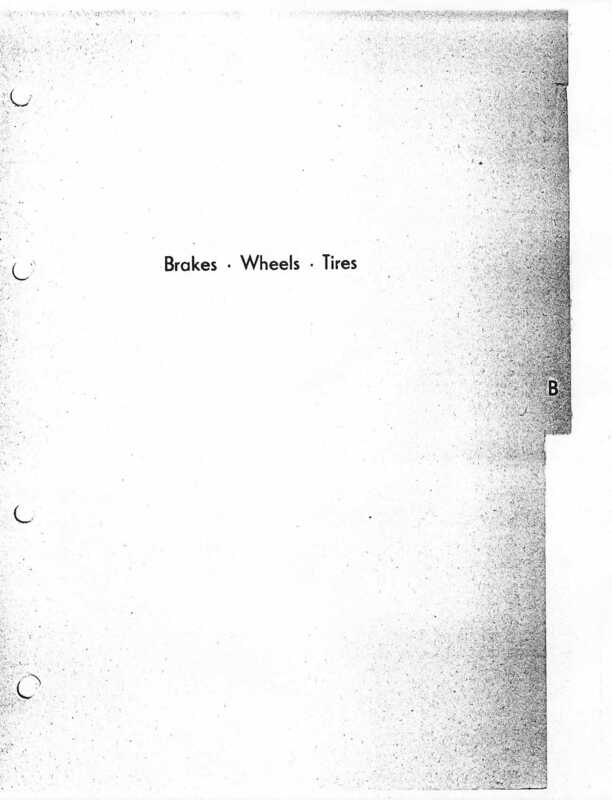 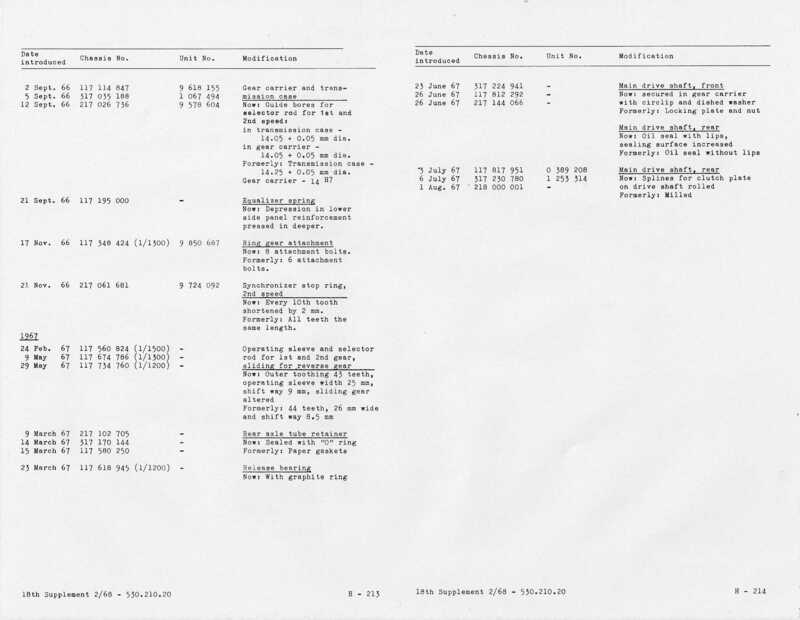 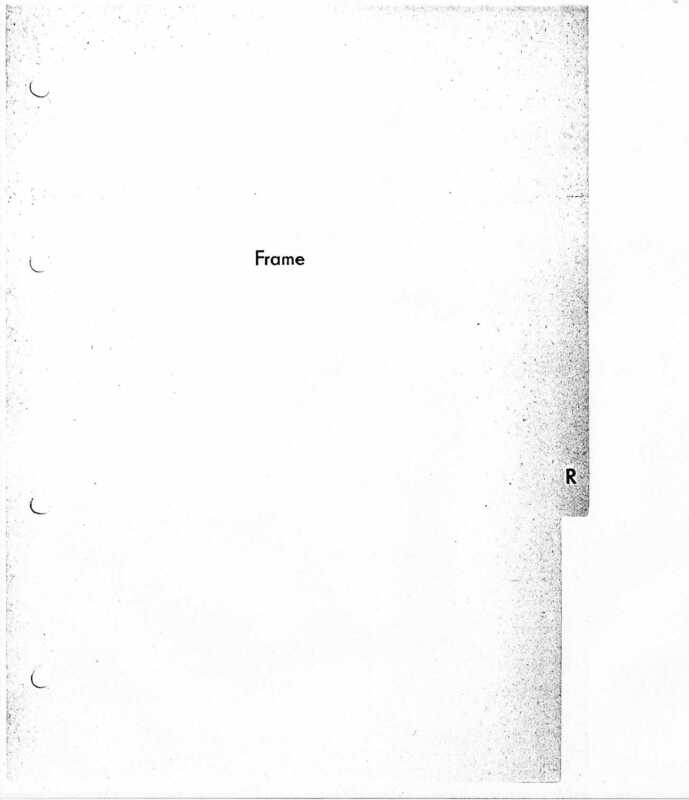 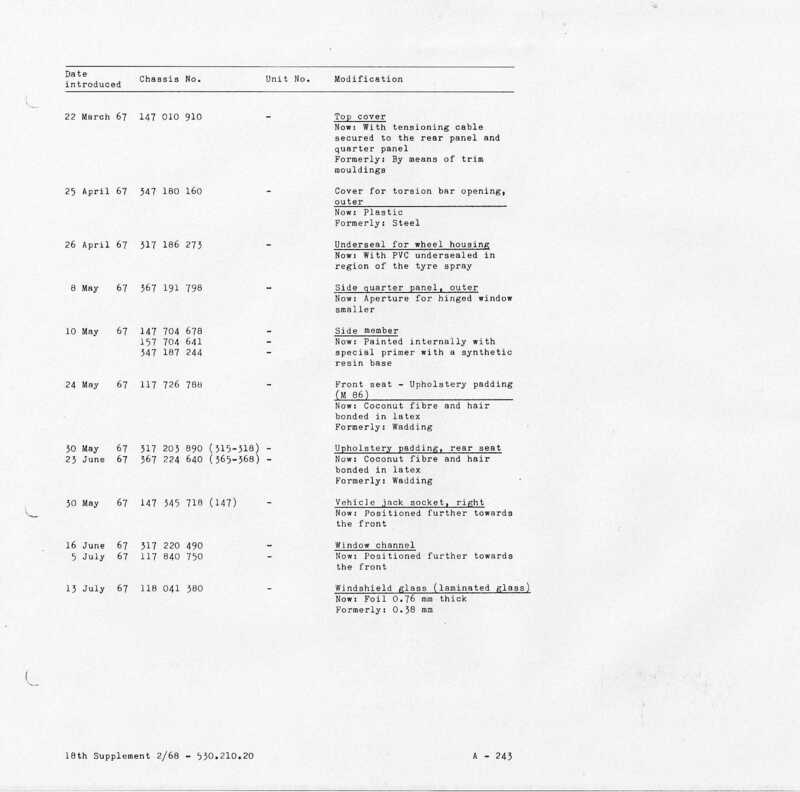 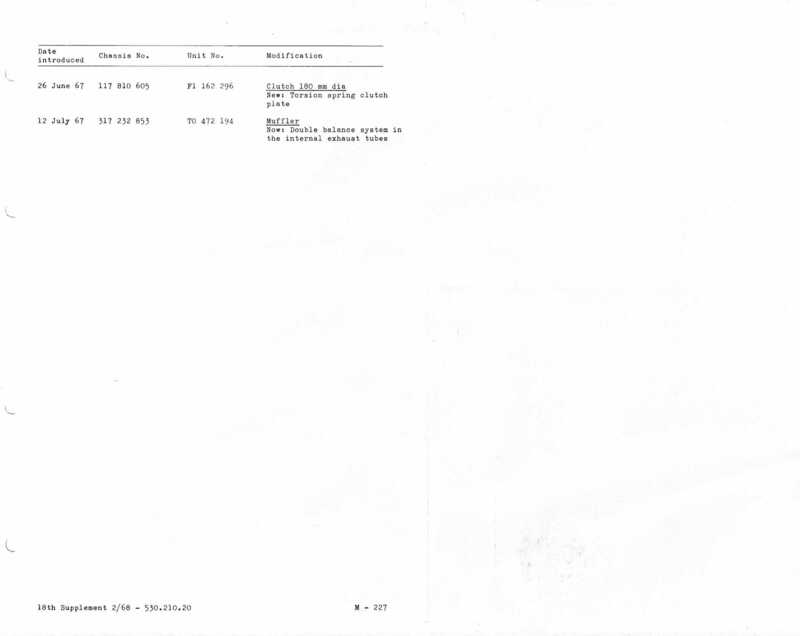 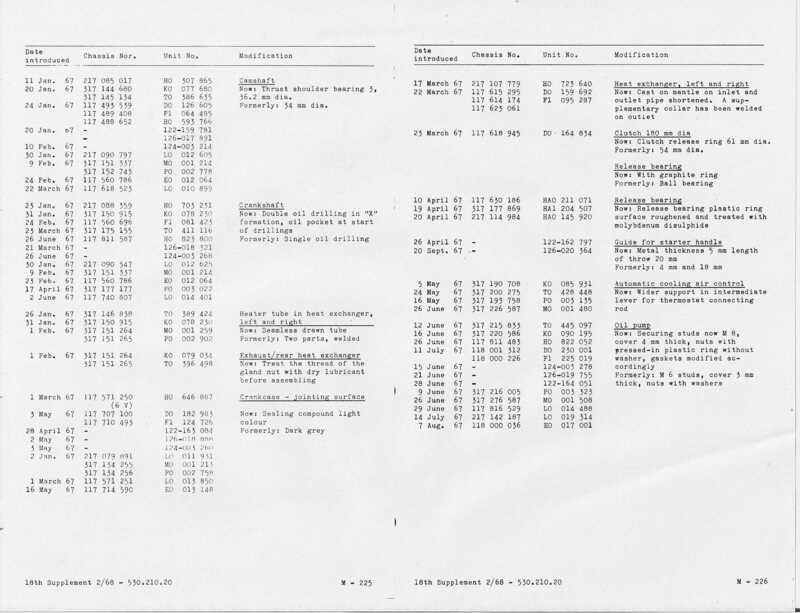 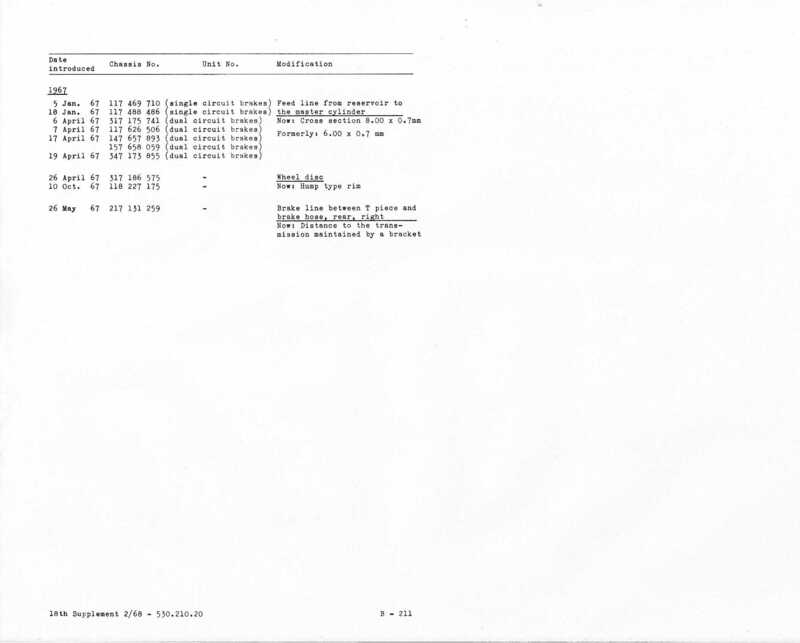 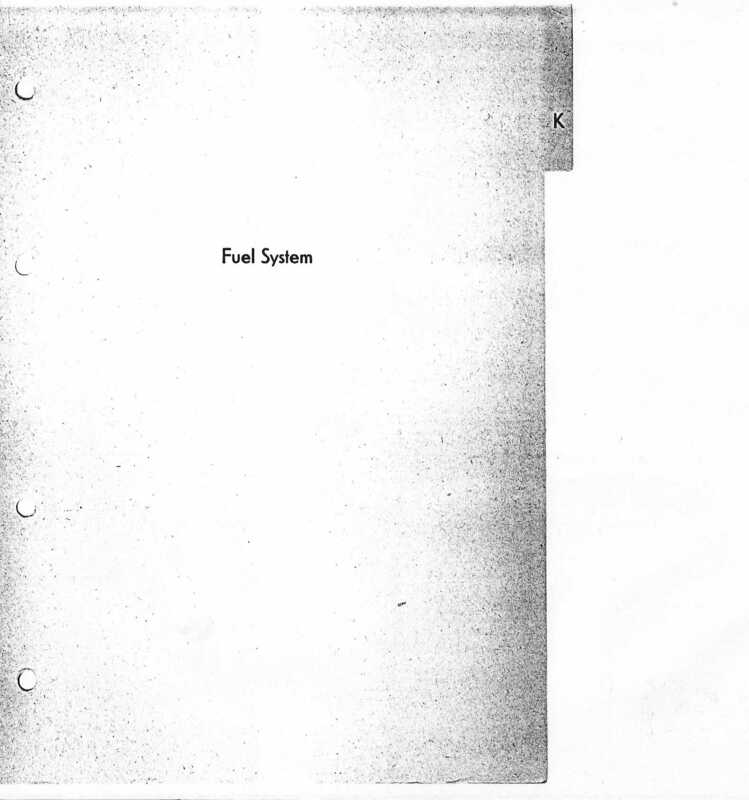 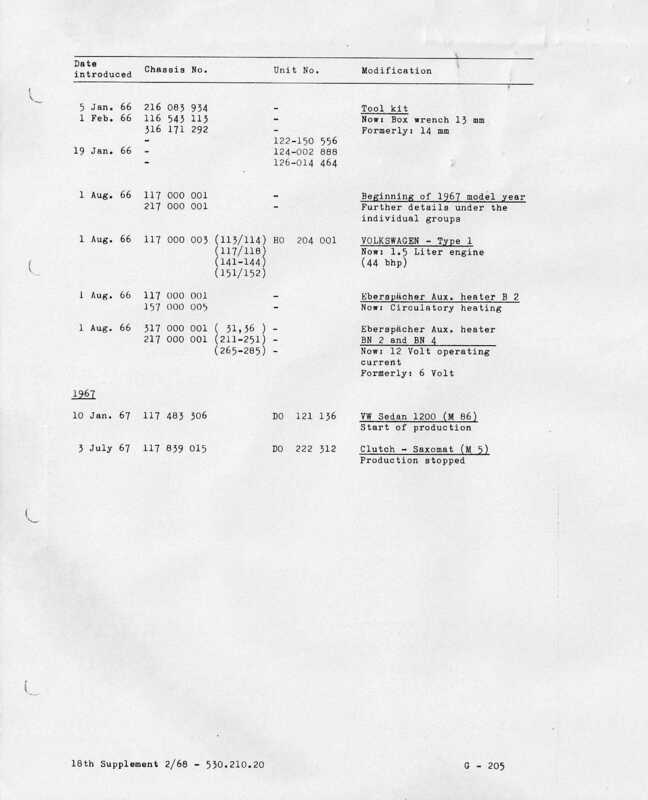 Each page has four columns, the first is the date of the change, second is the chassis number of the car that had the change, third is the unit/body number, and fourth is a textual description of the changes. 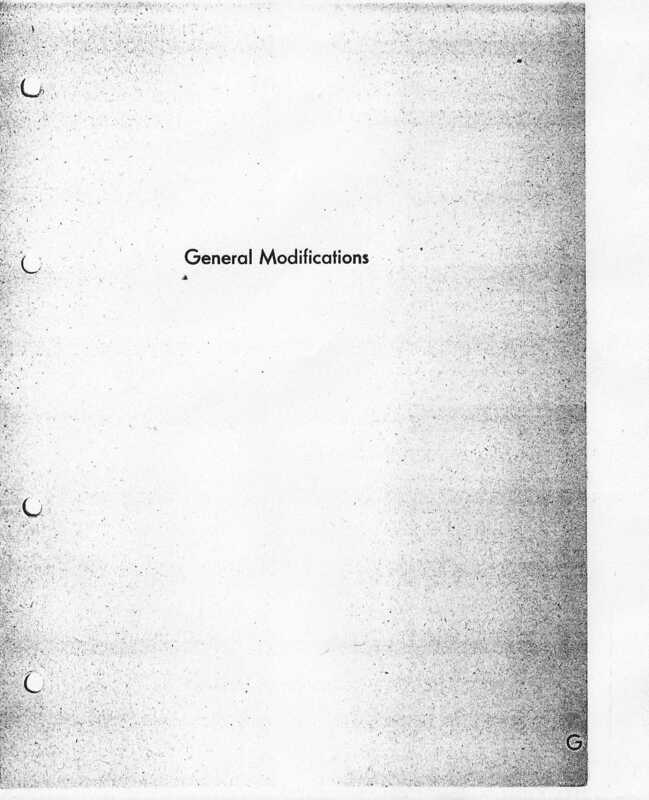 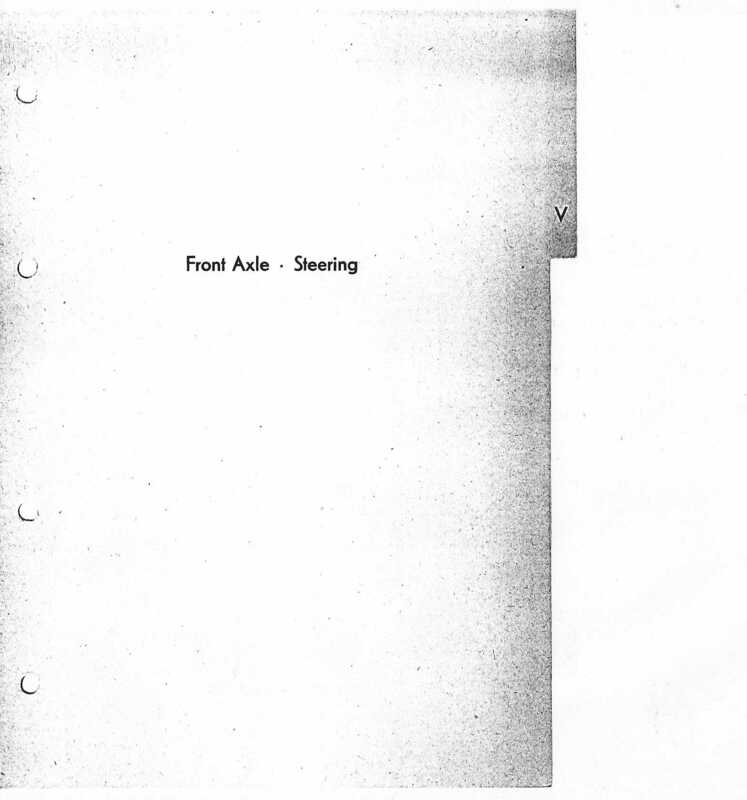 This scanned and uploaded copy of Progressive Refinements, Book 2, is dedicated to the unknown typist or typists of it's pages. 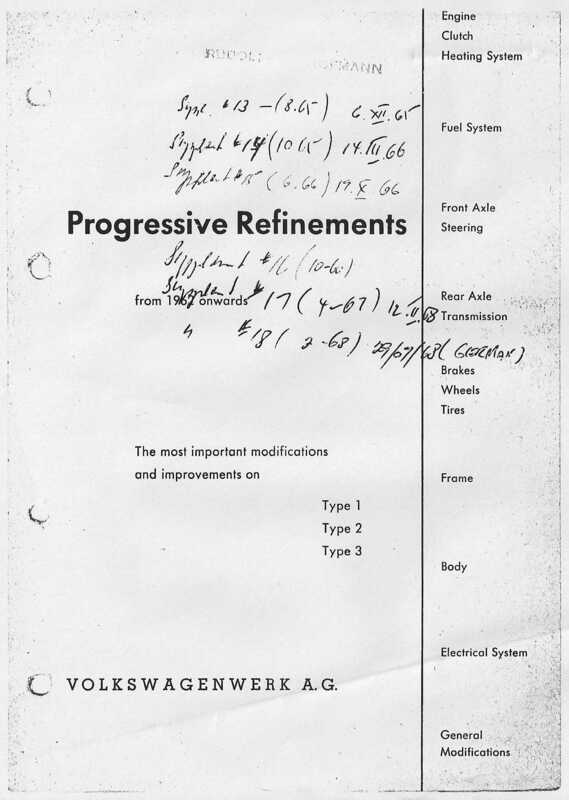 Without the painstaking effort to catalog all this information, our knowledge of many of these early VW 'progressive refinements' would be shrouded in mystery. 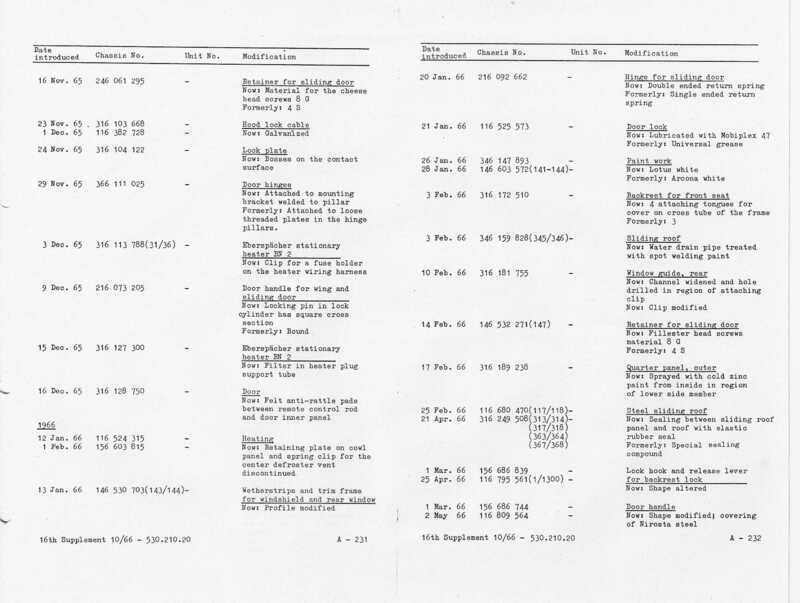 Copy Info Special Information about this copy of Progressive Refinements. 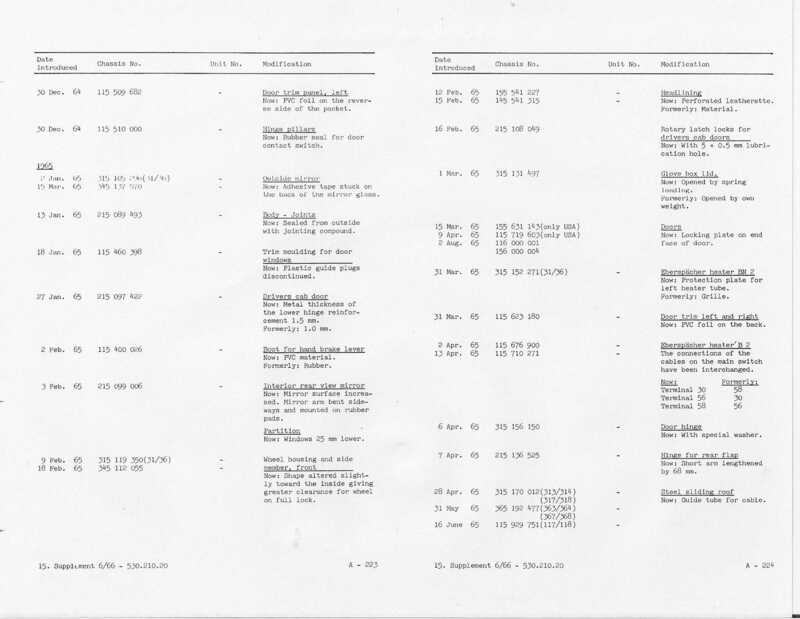 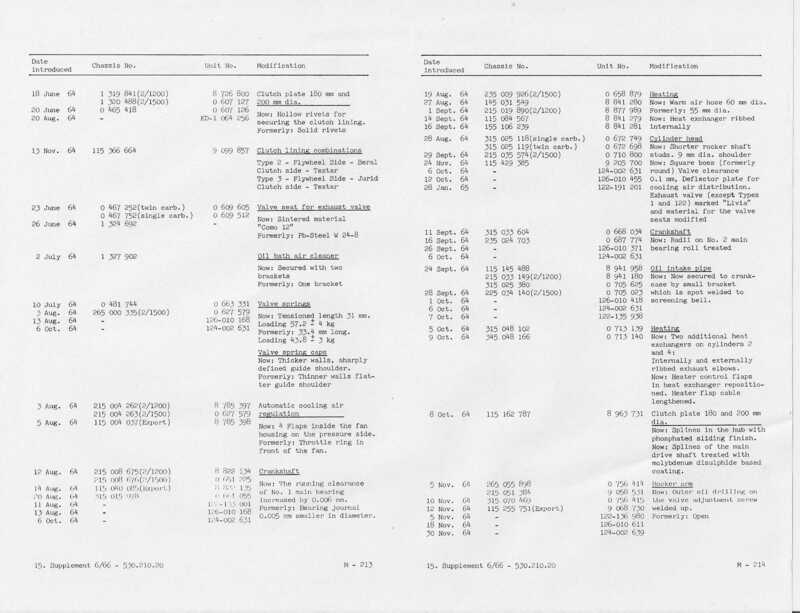 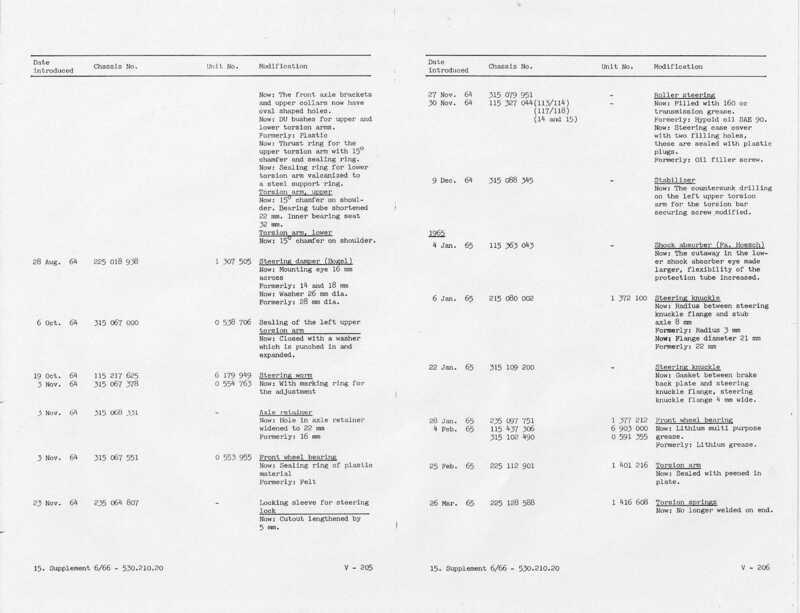 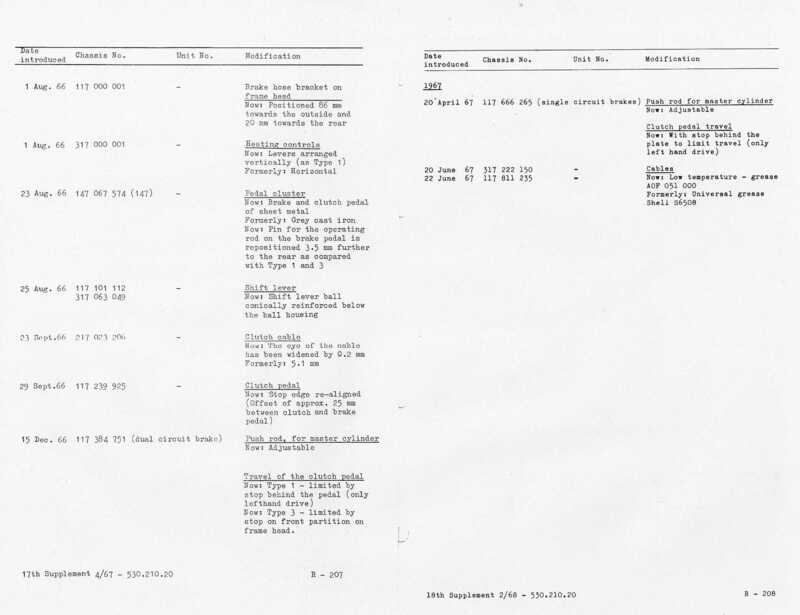 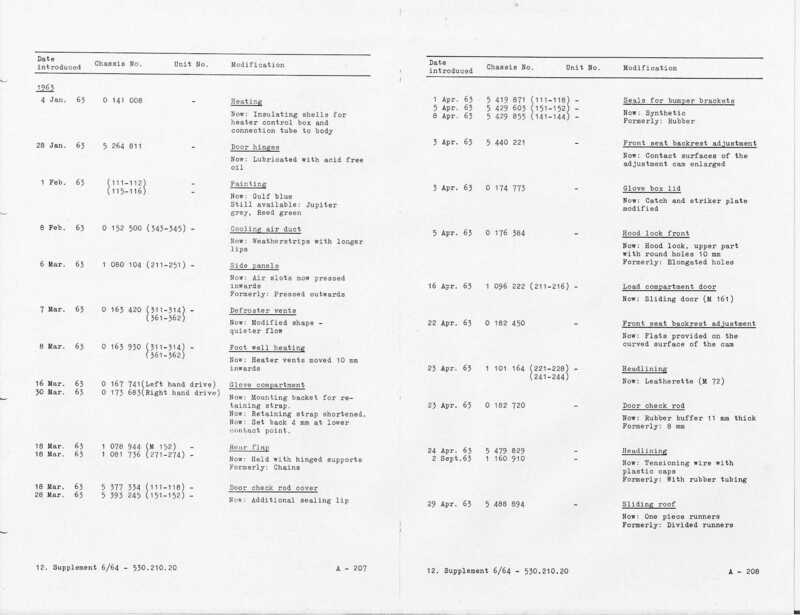 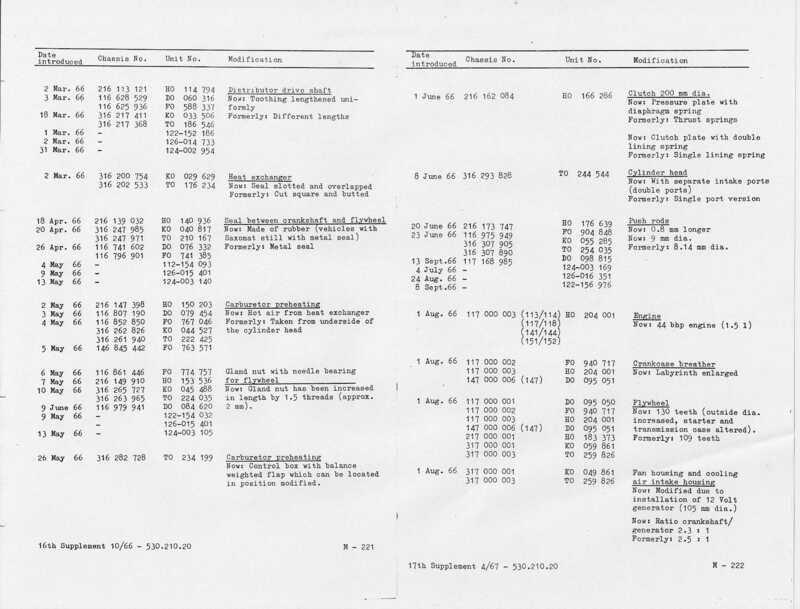 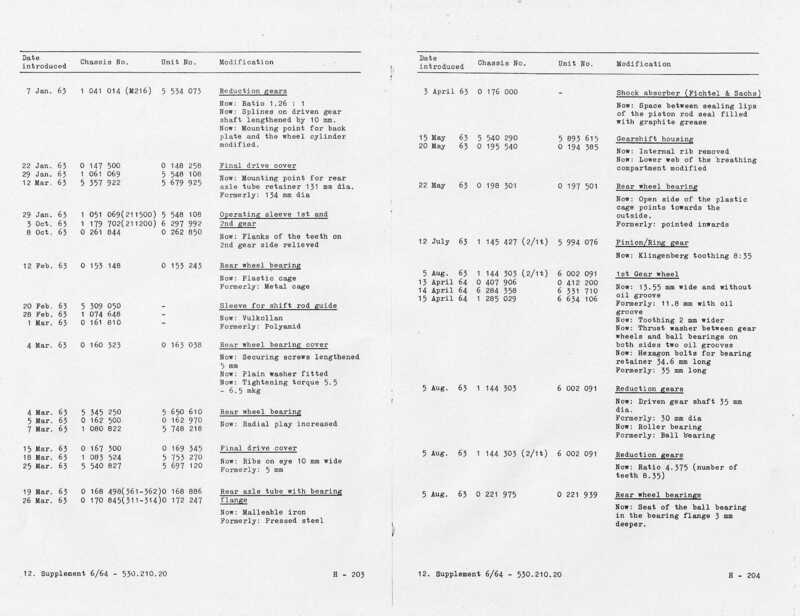 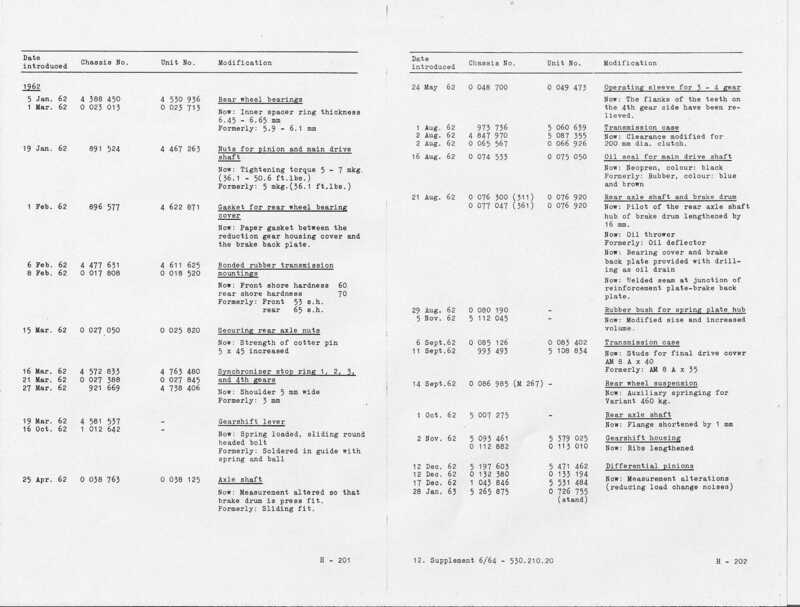 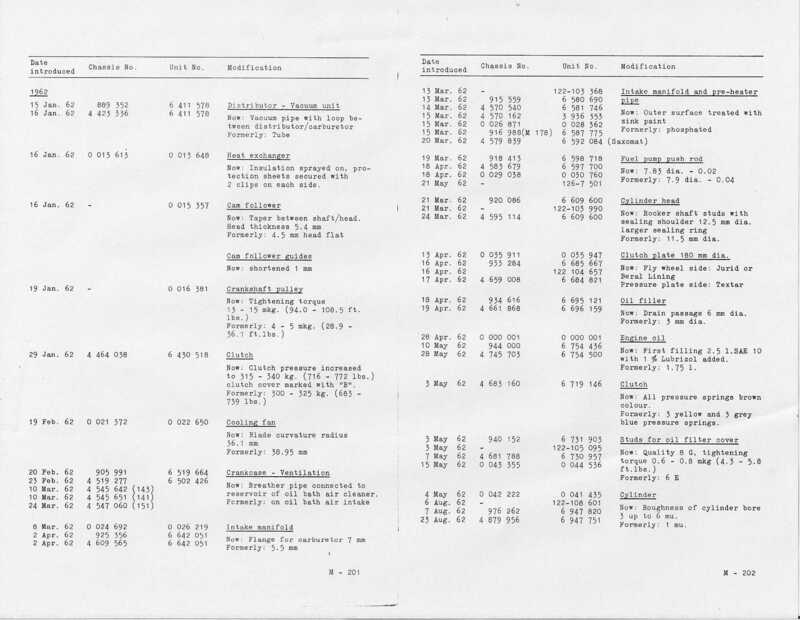 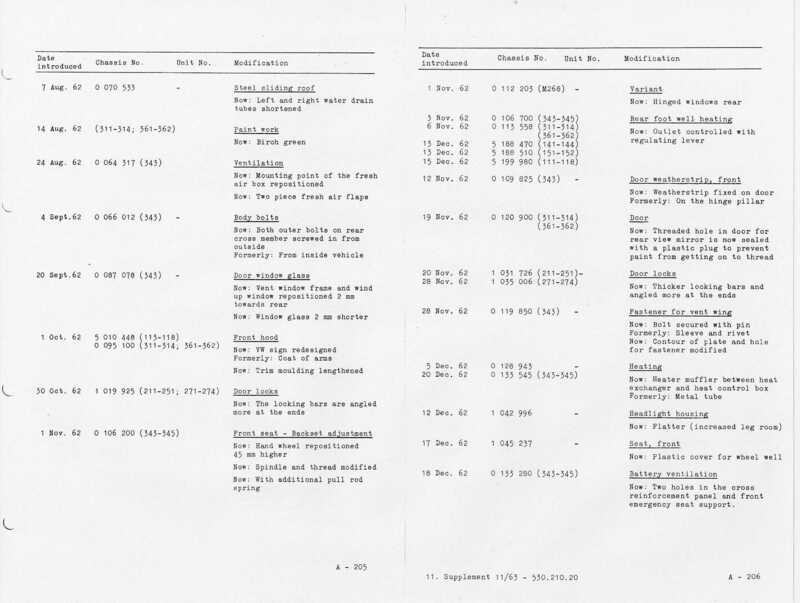 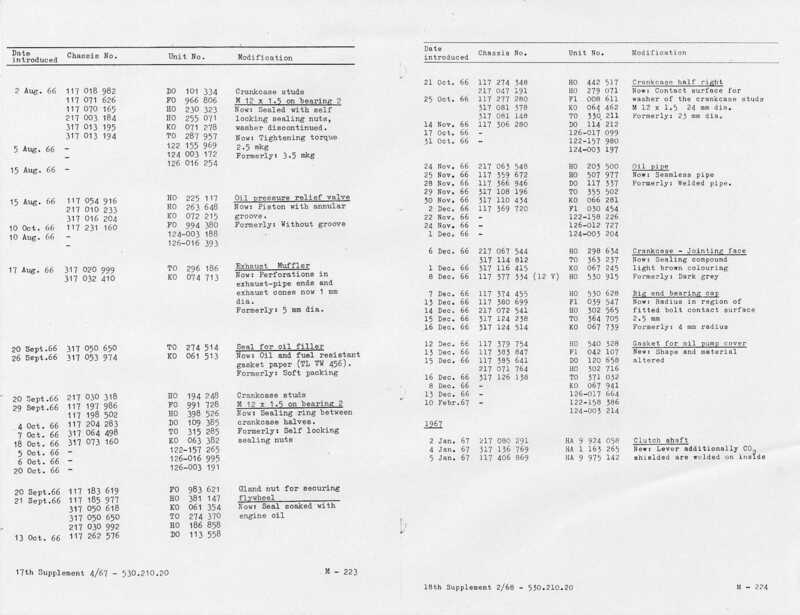 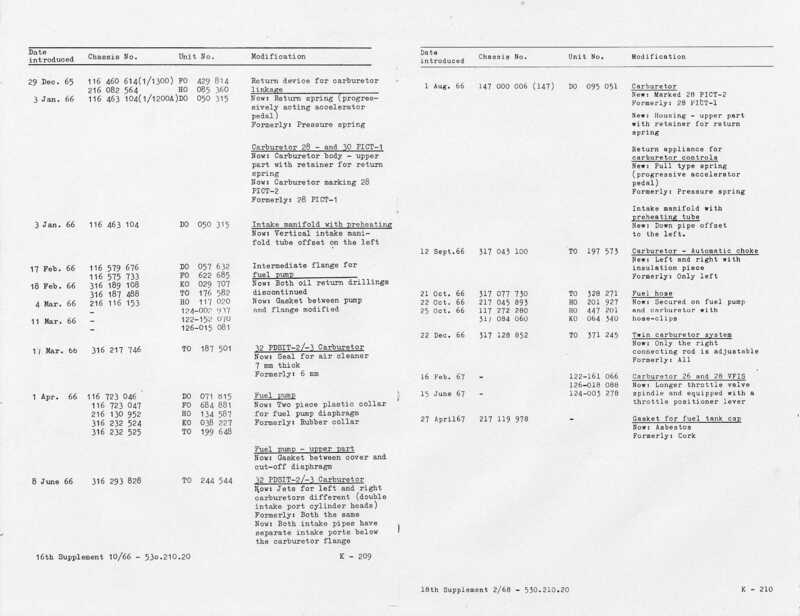 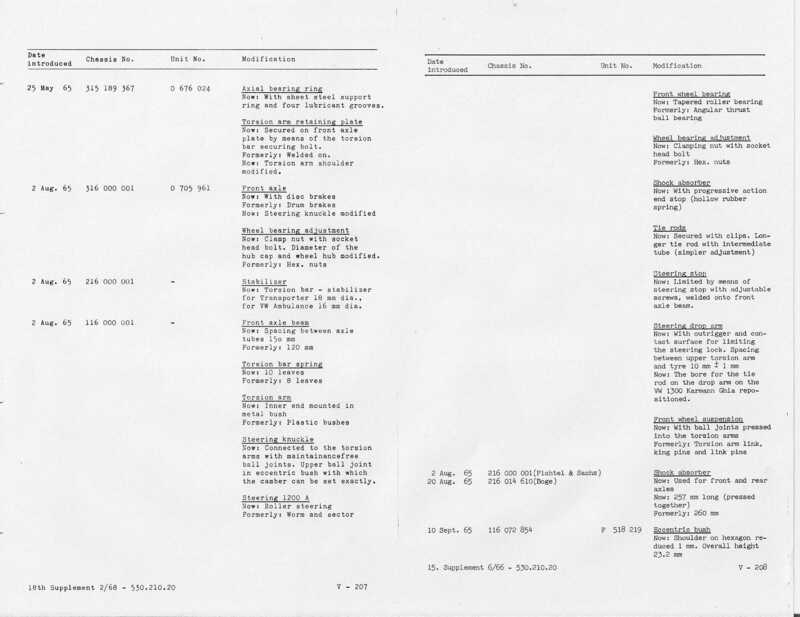 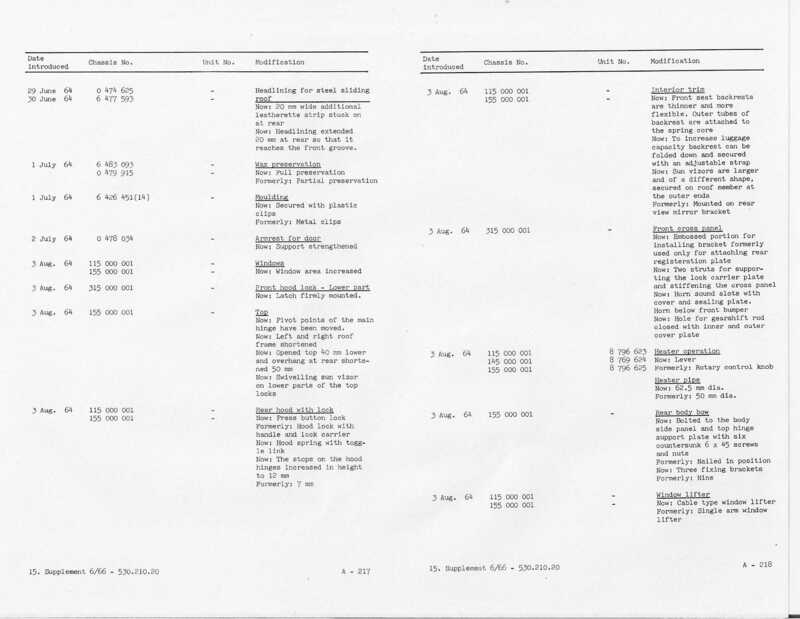 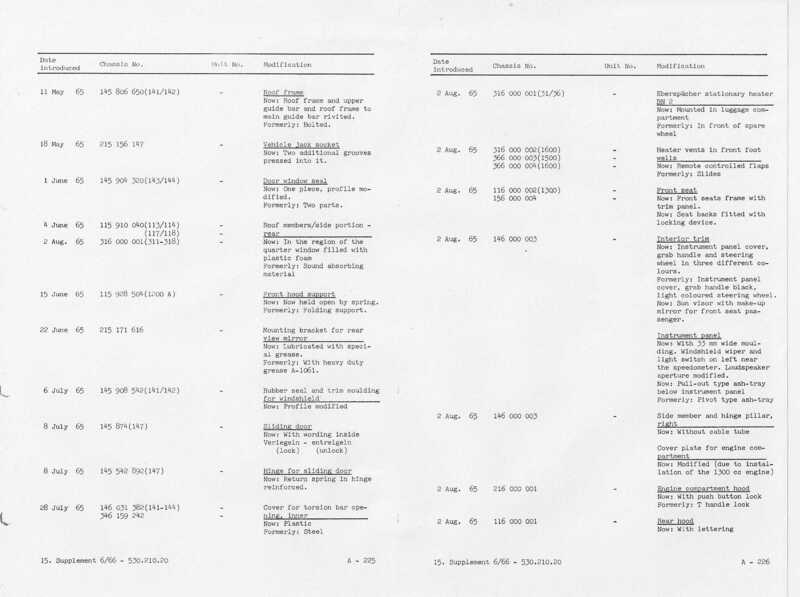 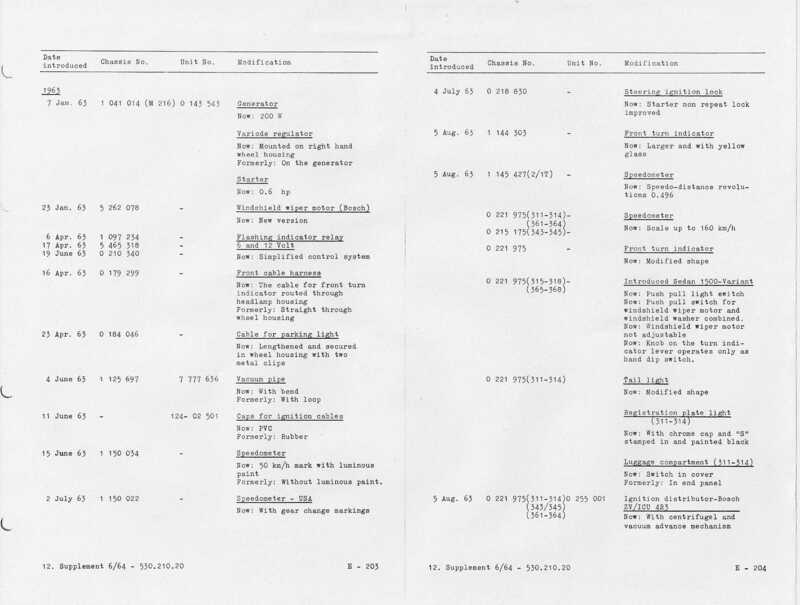 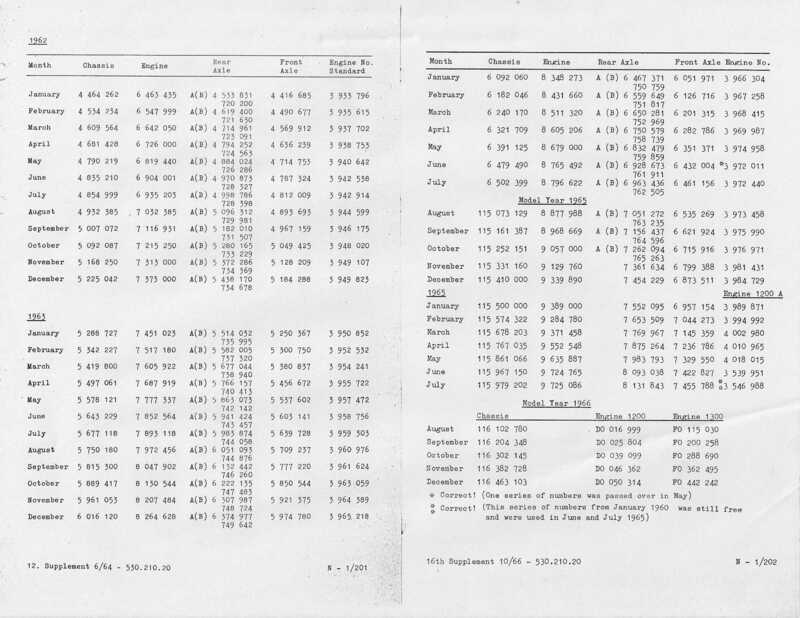 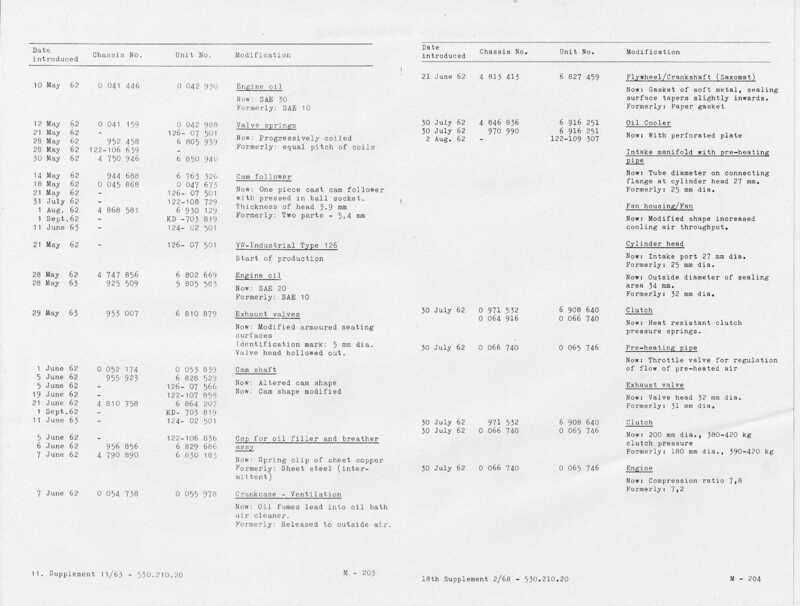 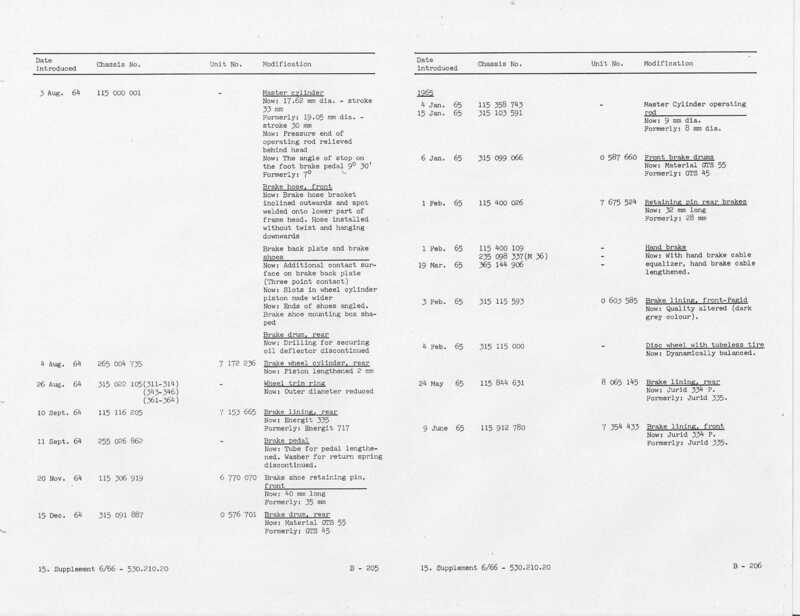 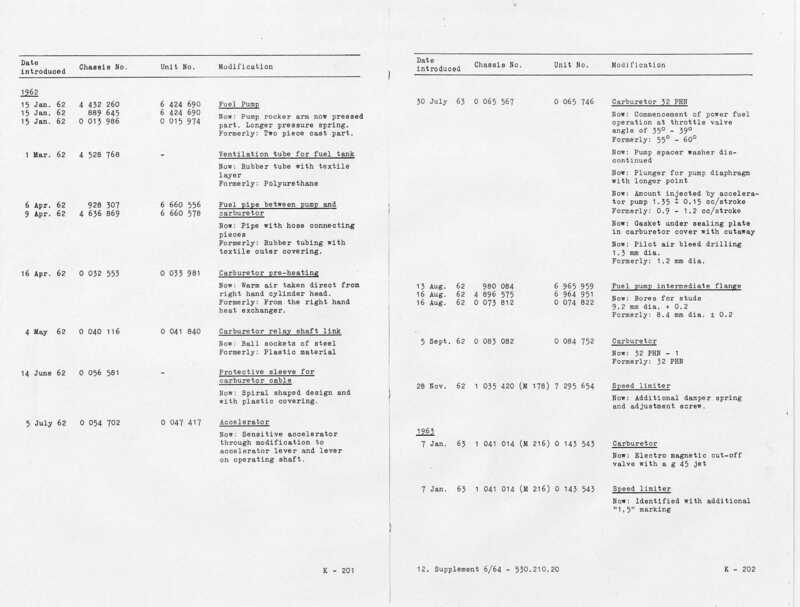 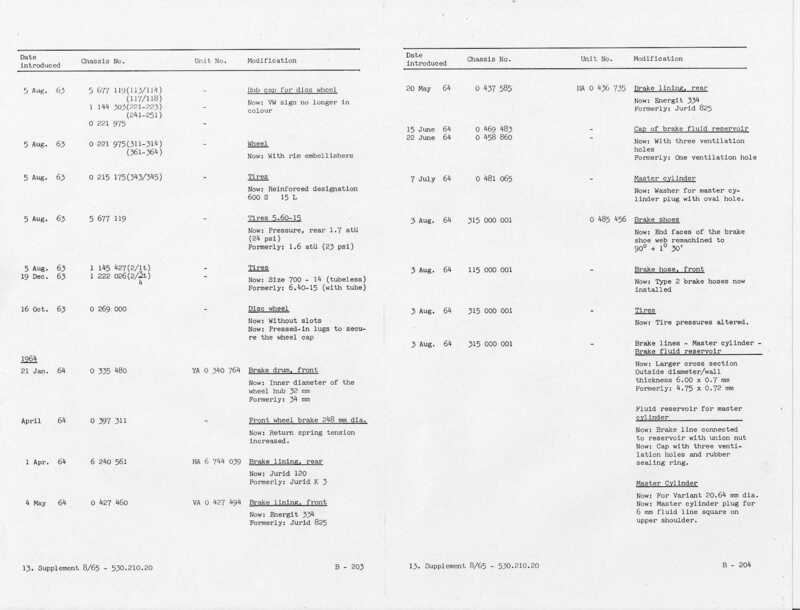 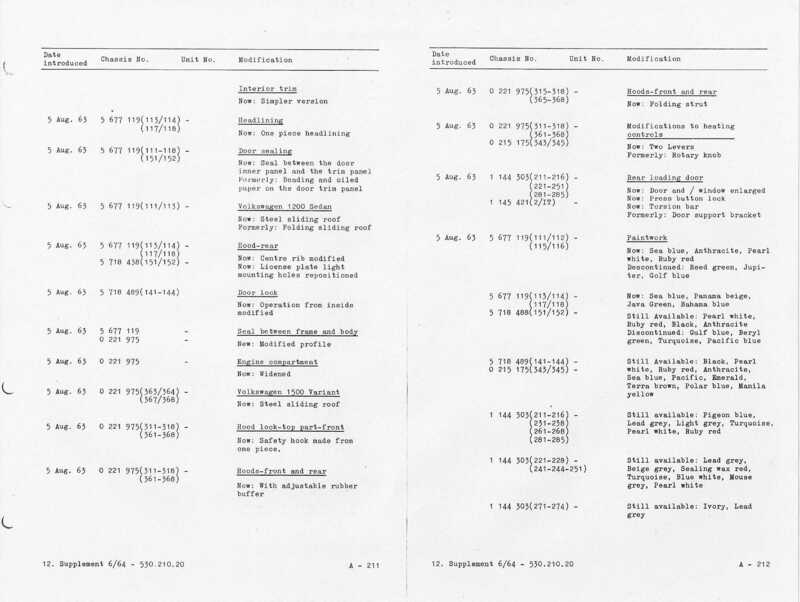 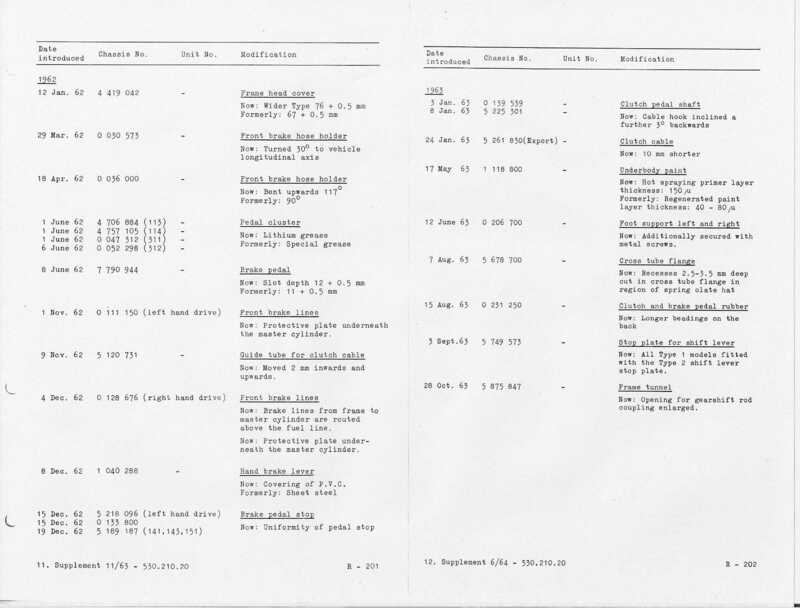 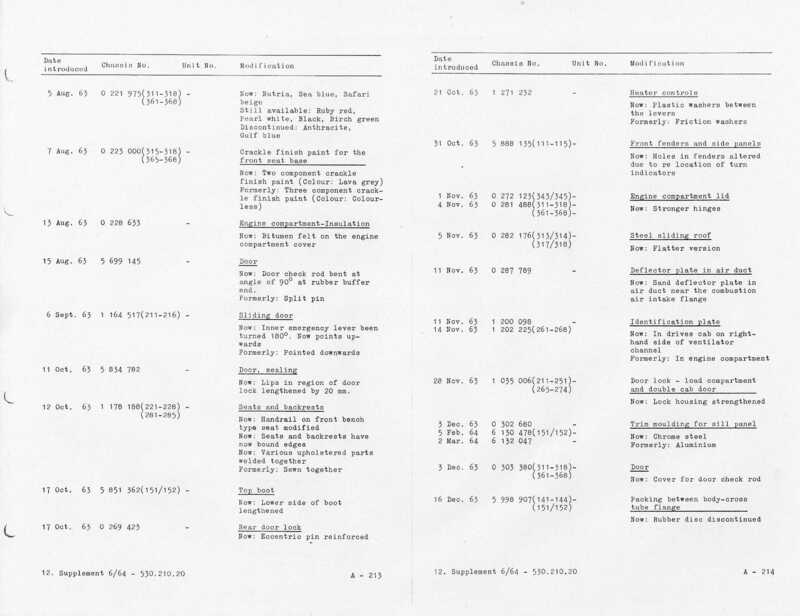 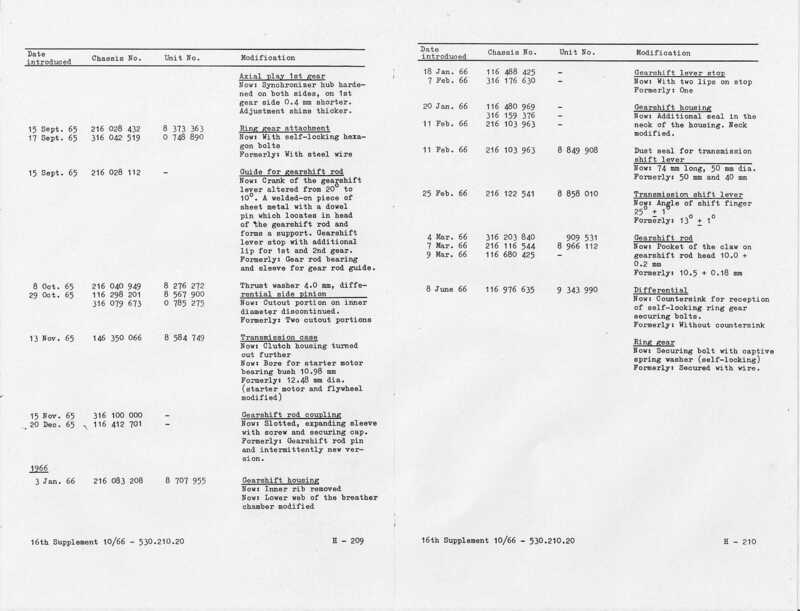 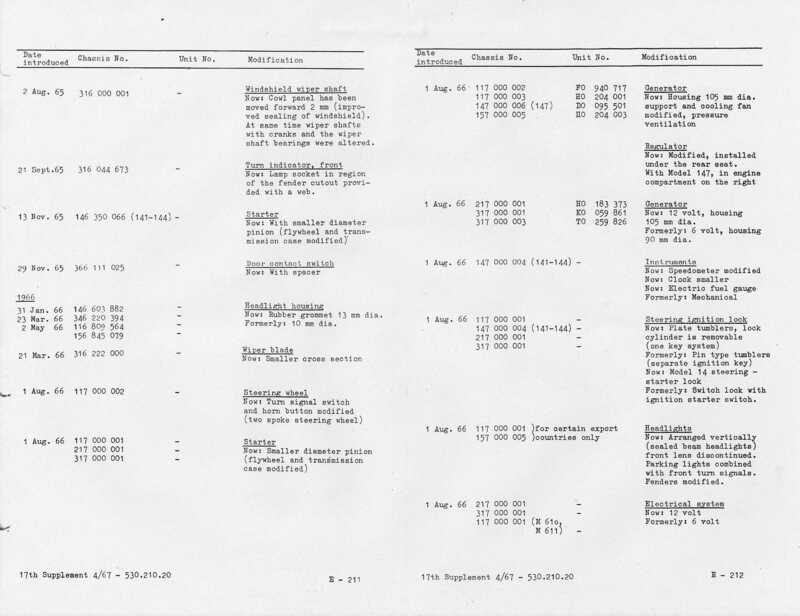 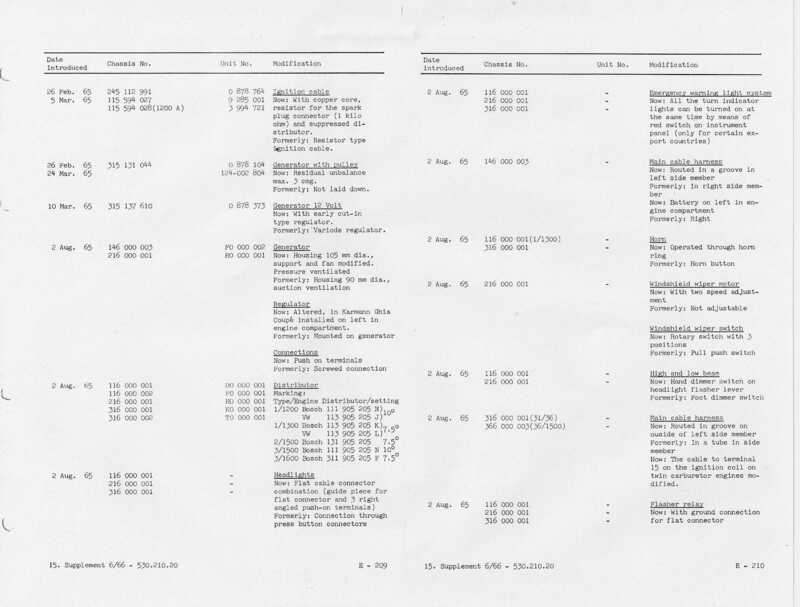 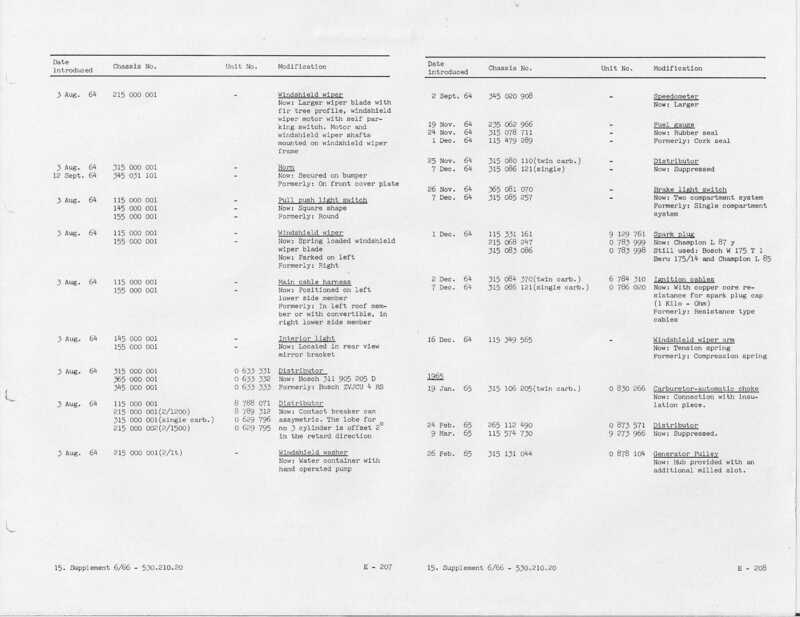 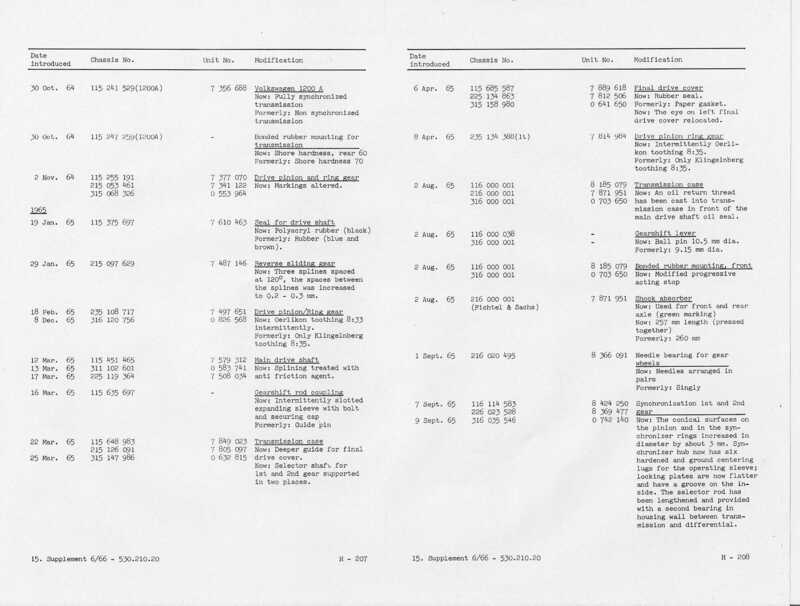 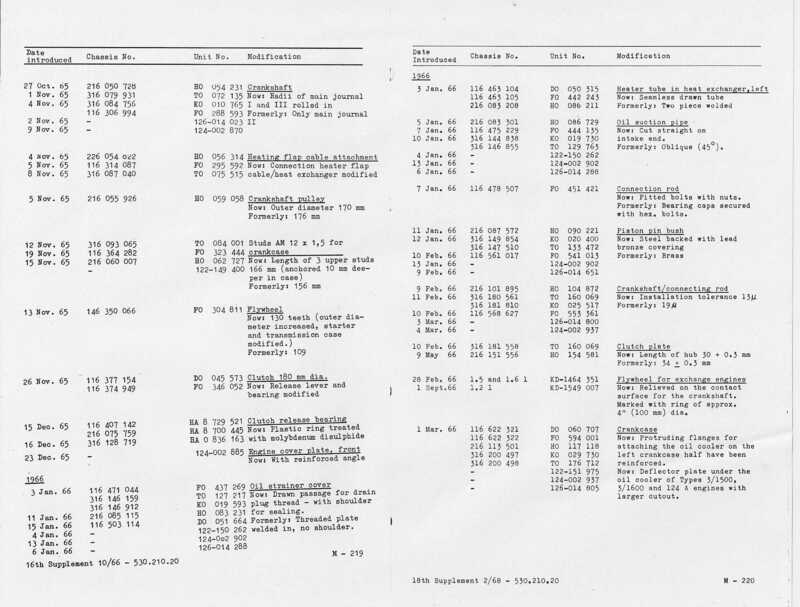 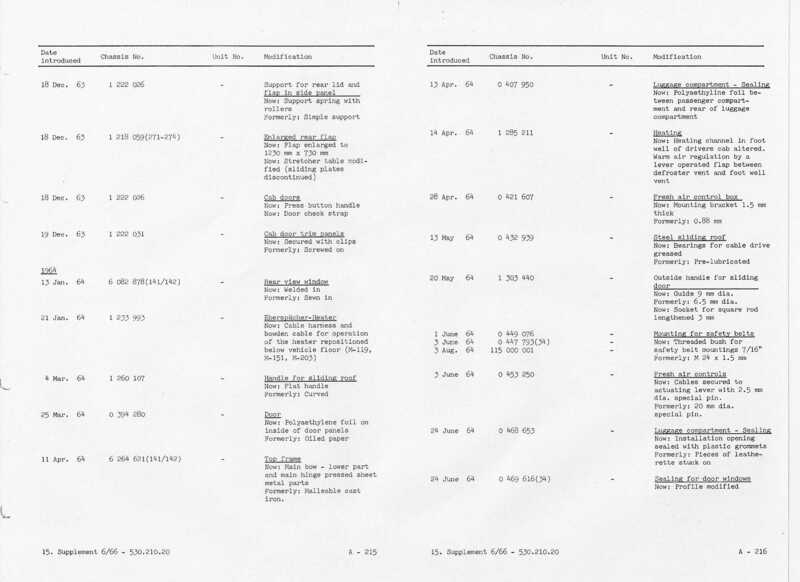 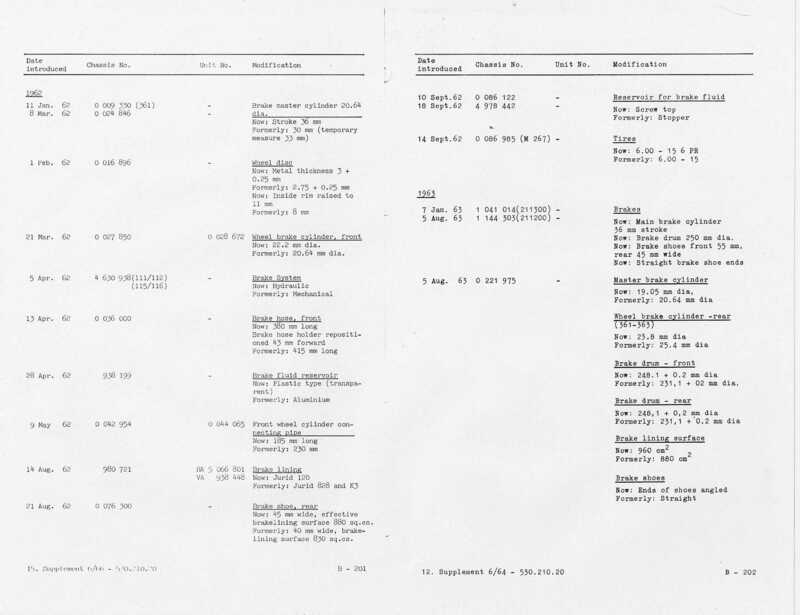 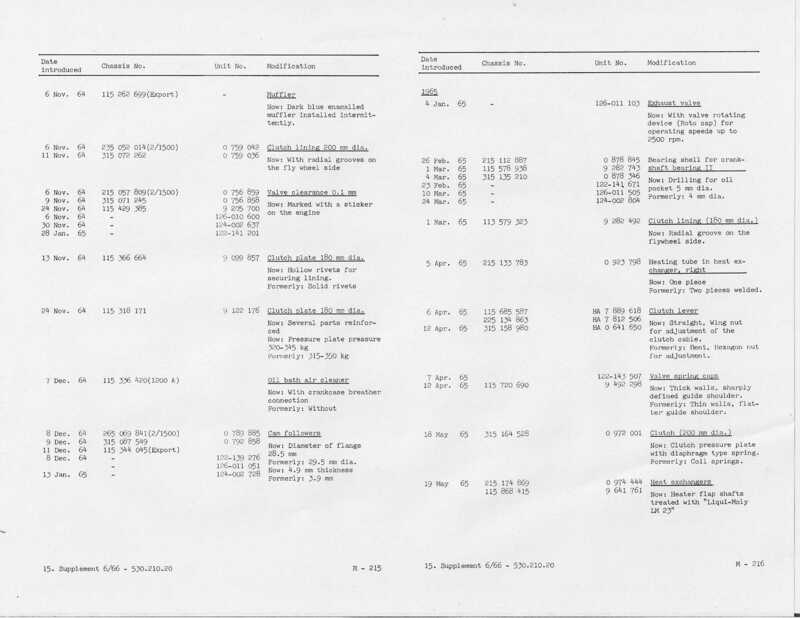 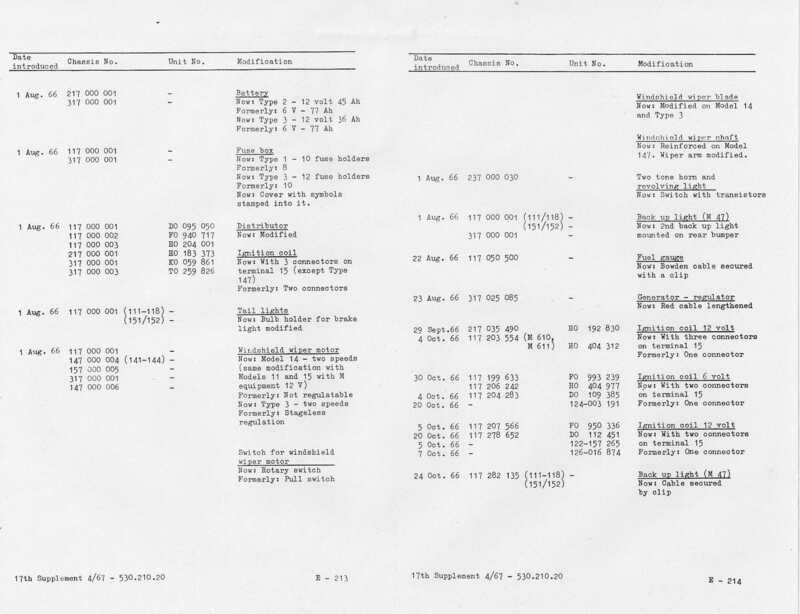 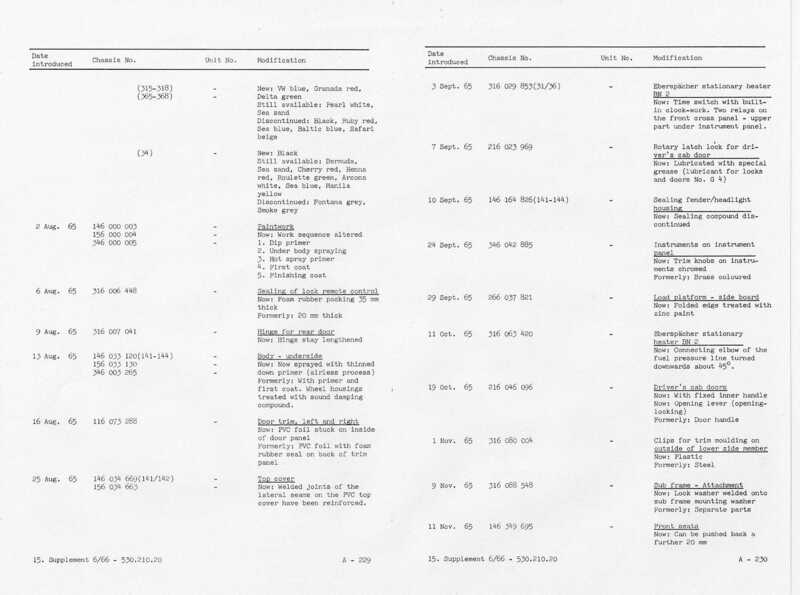 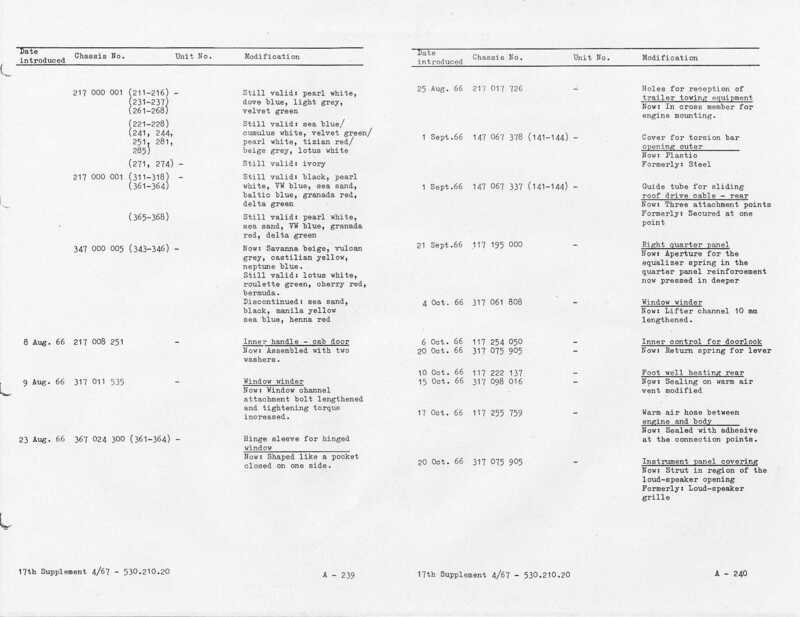 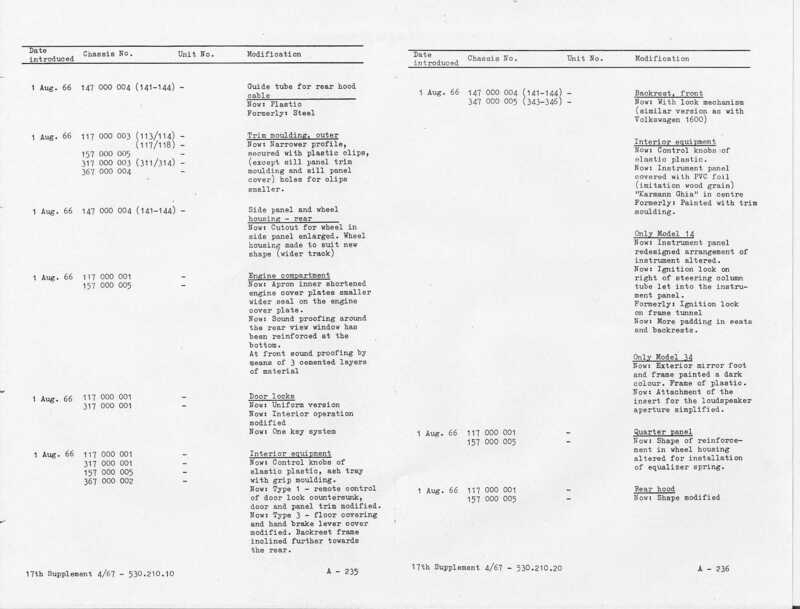 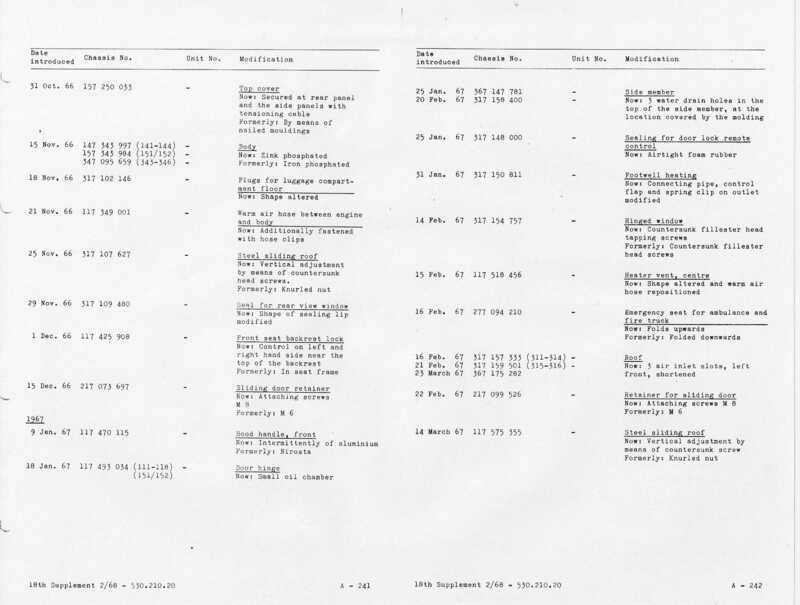 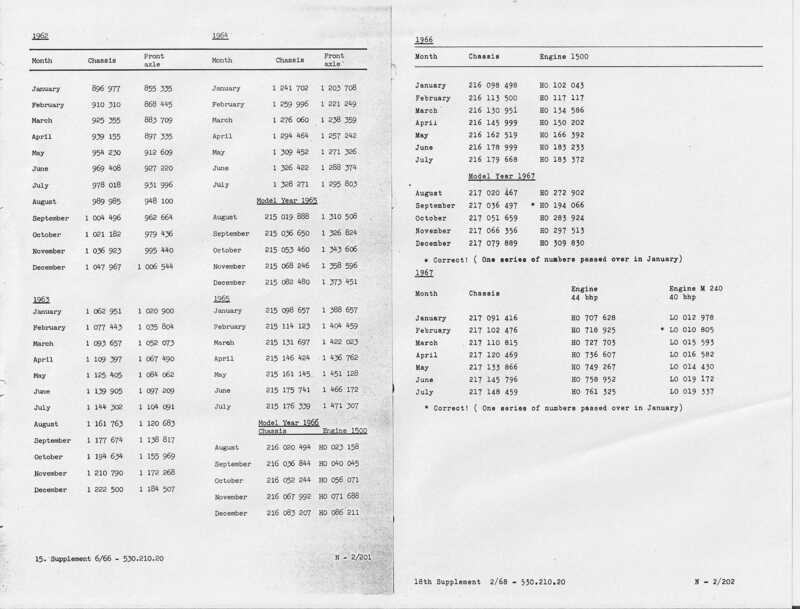 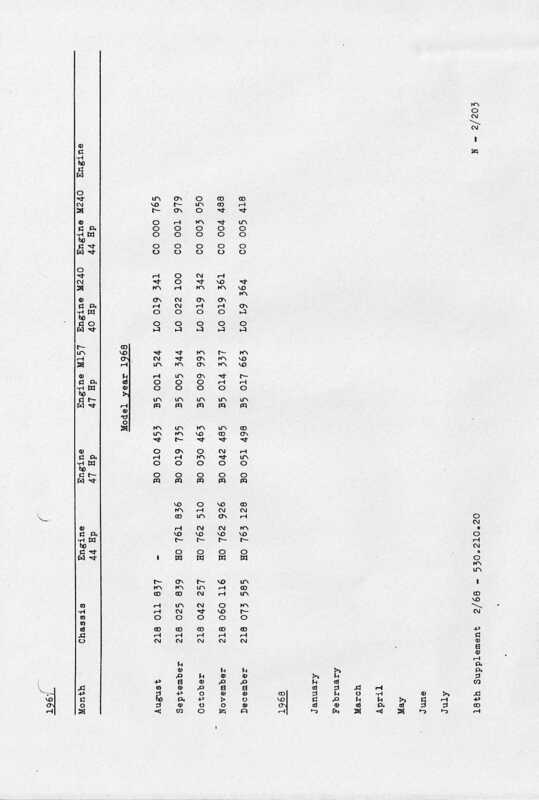 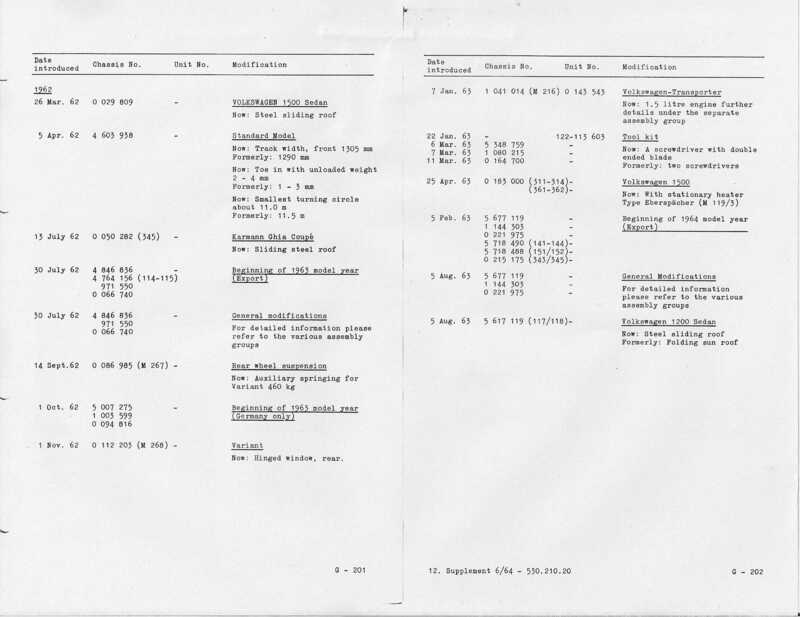 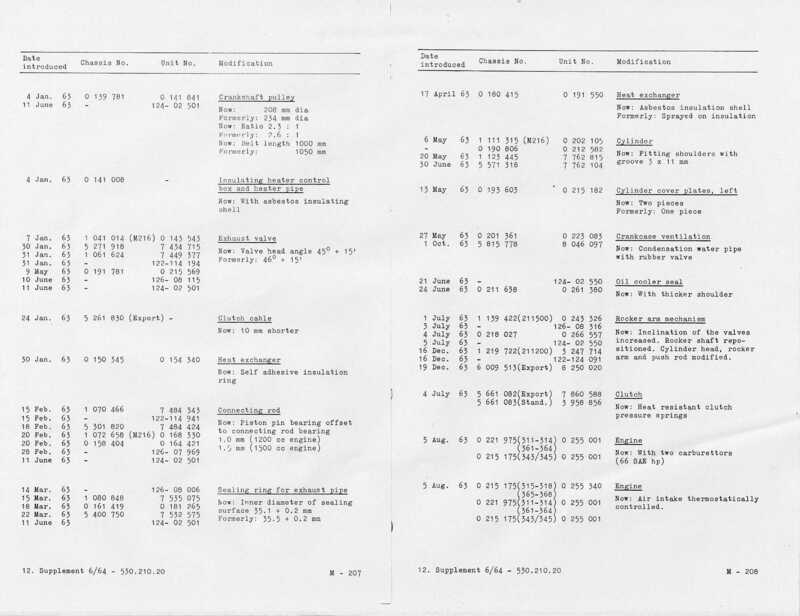 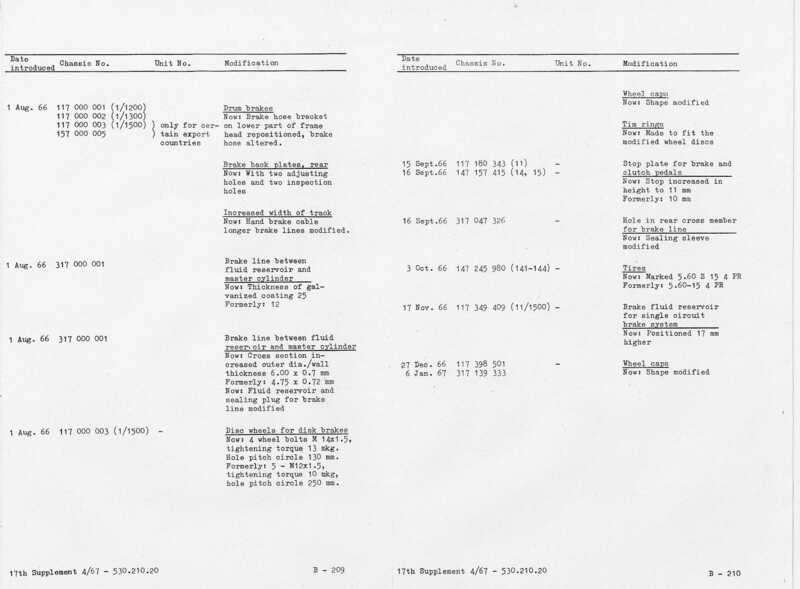 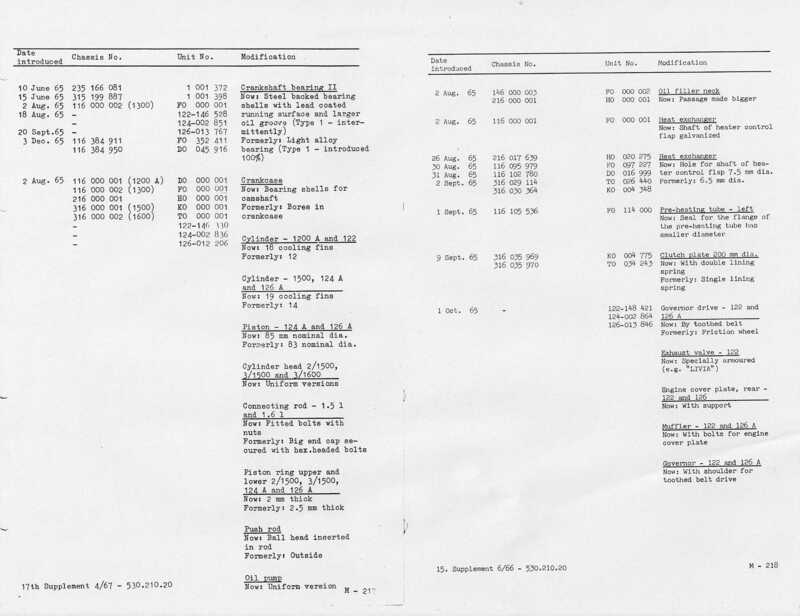 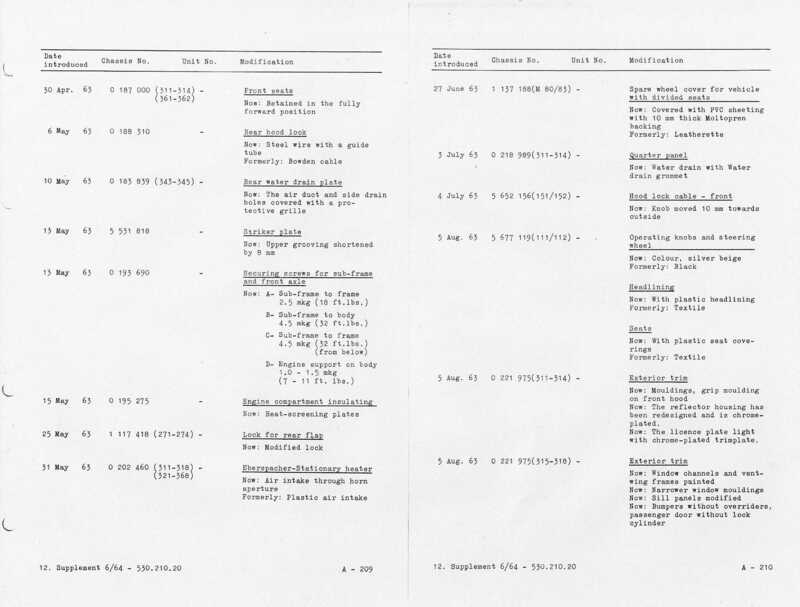 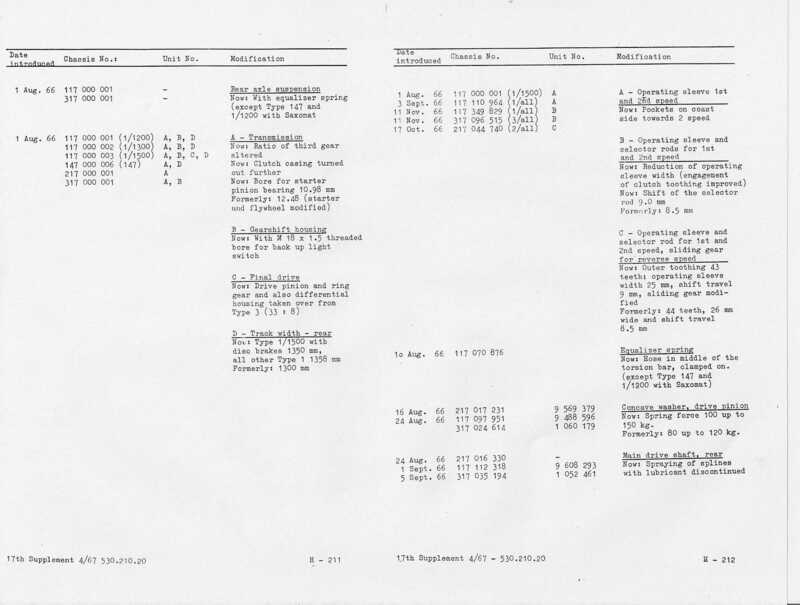 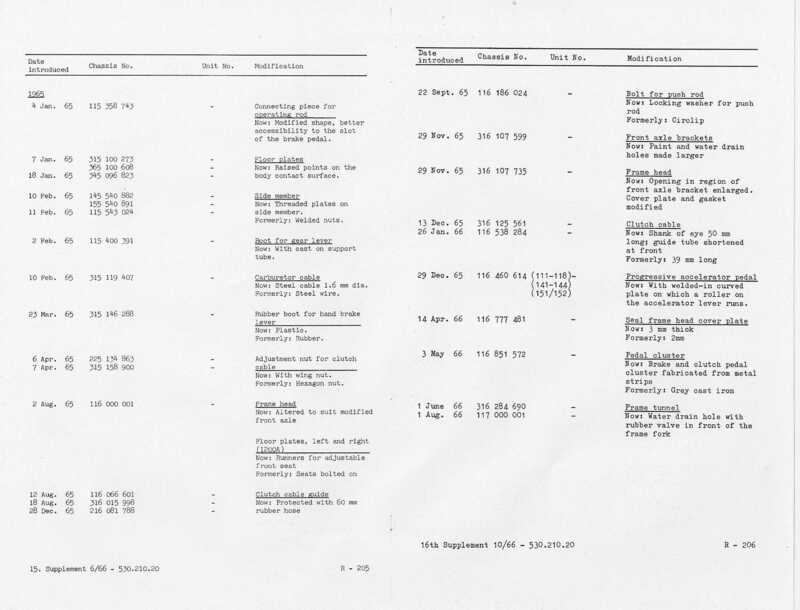 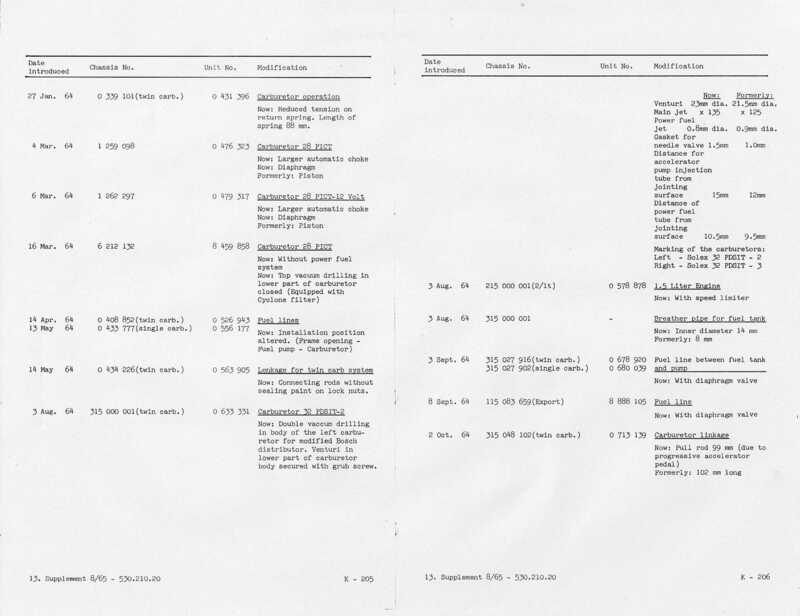 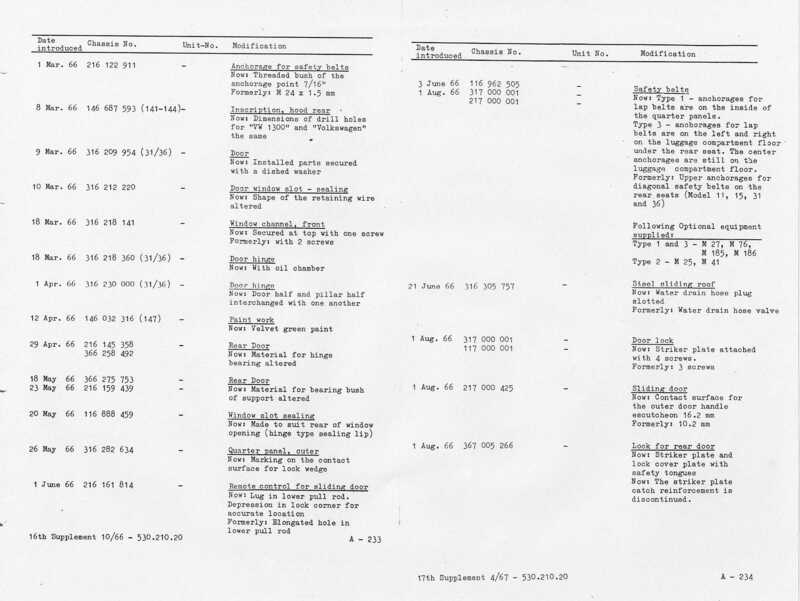 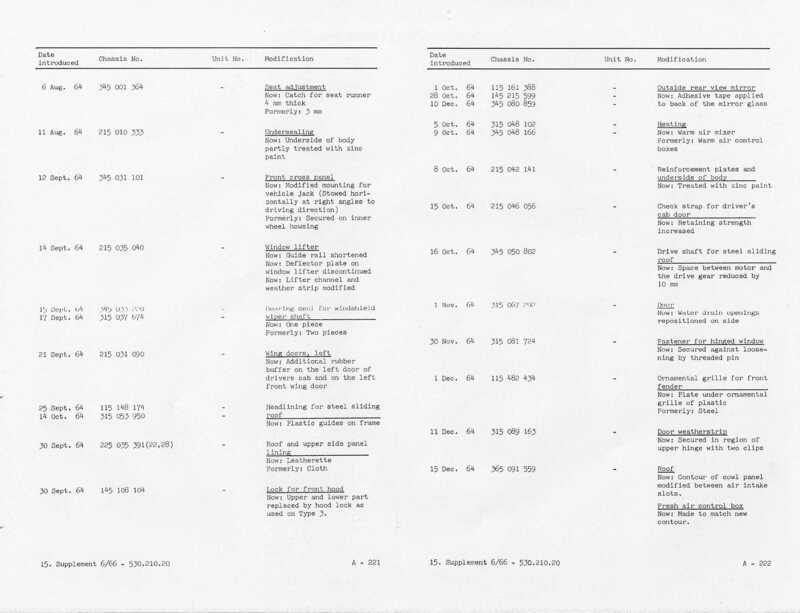 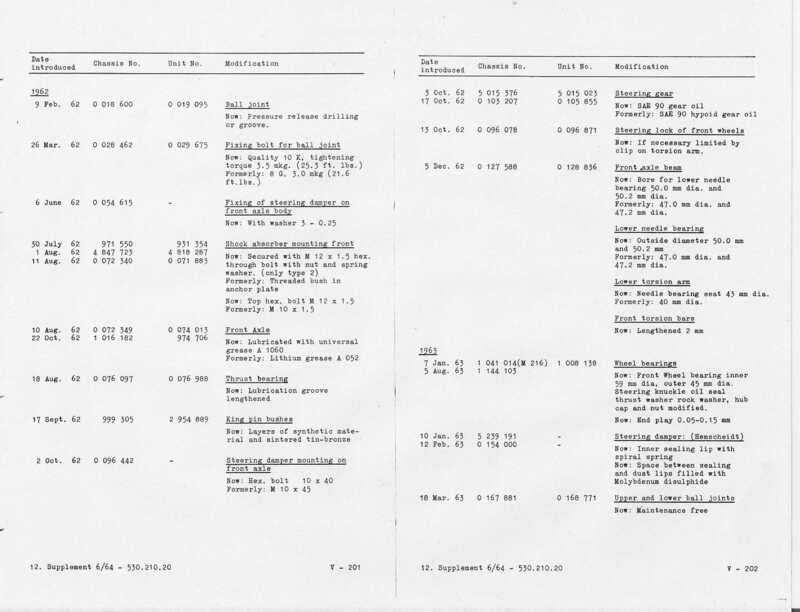 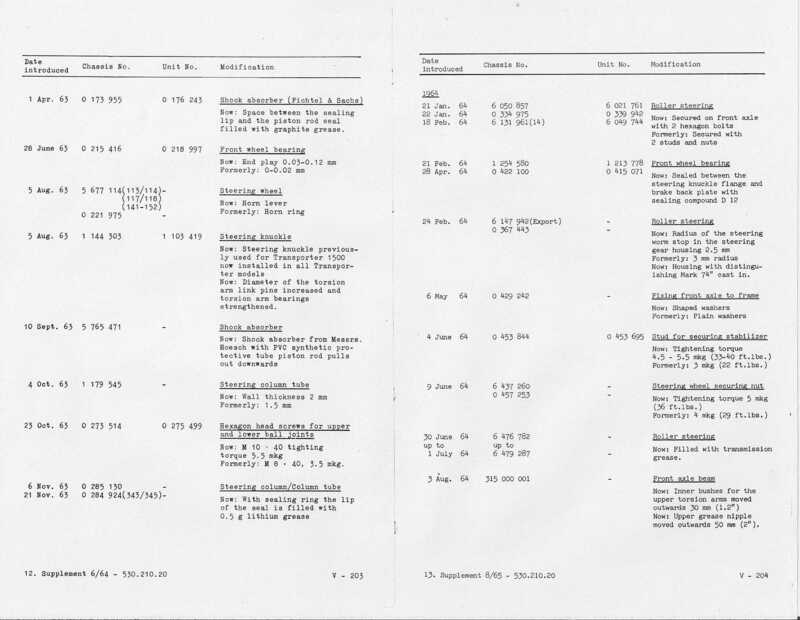 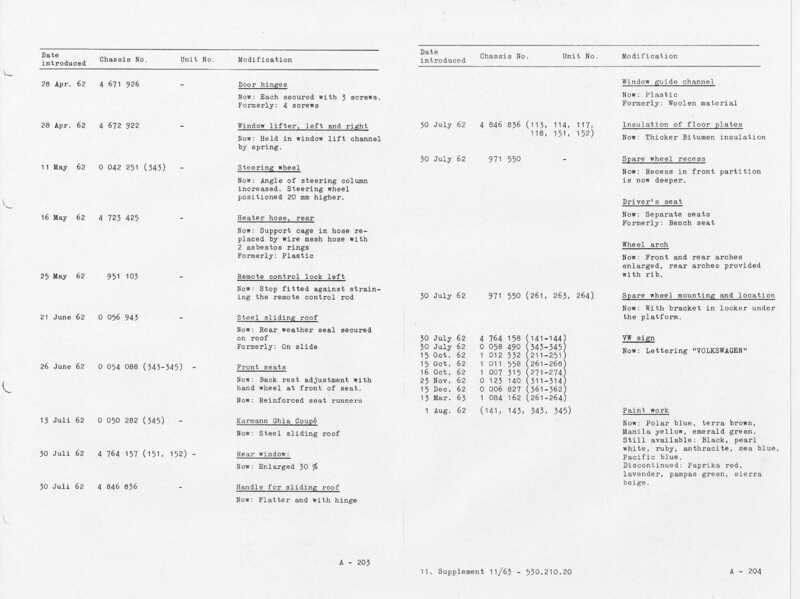 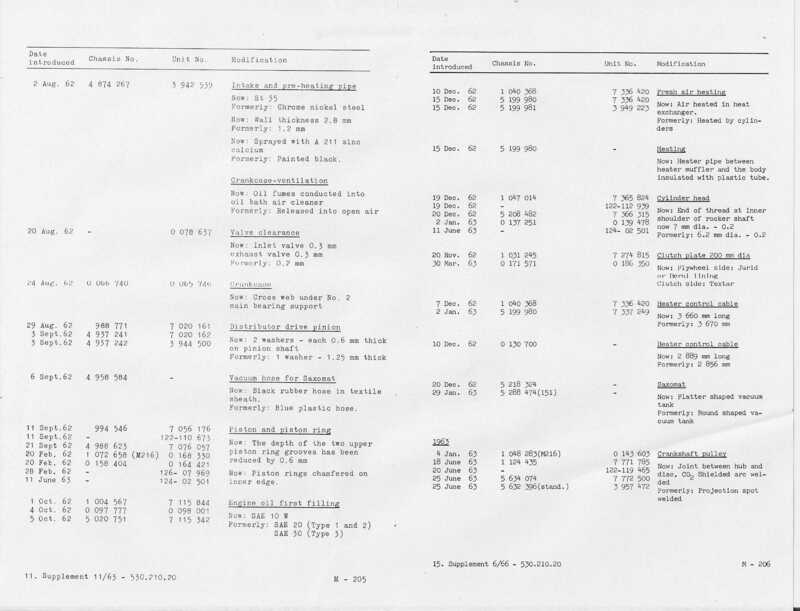 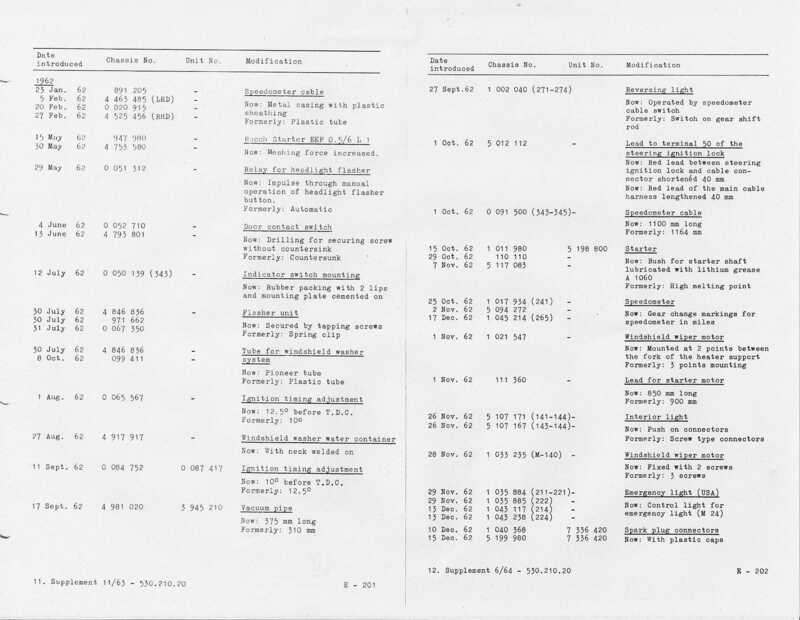 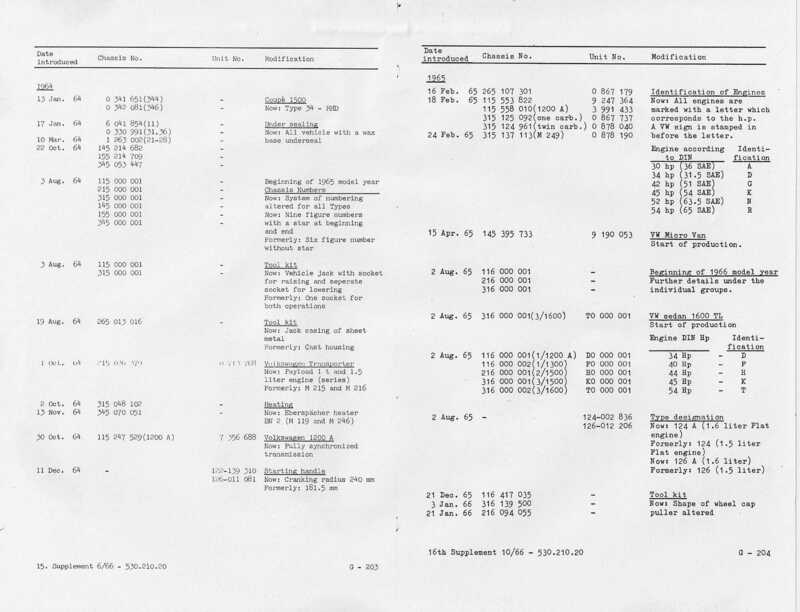 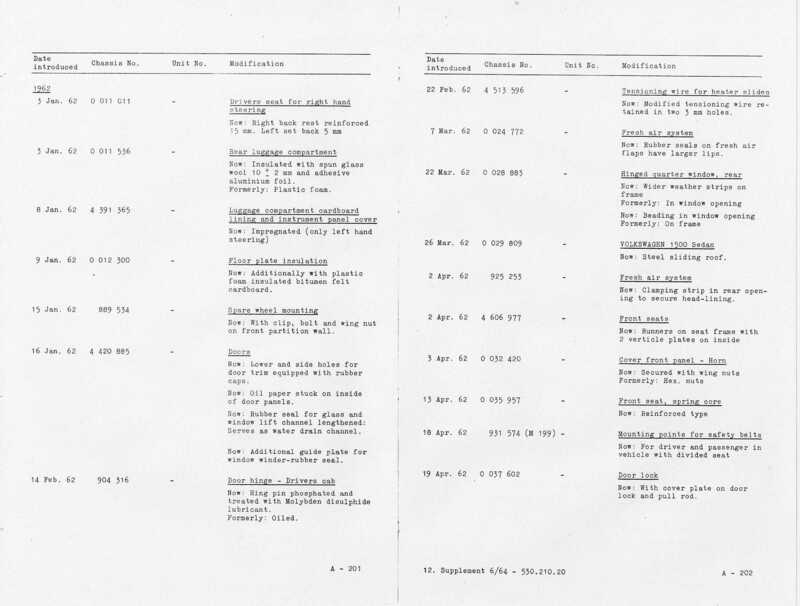 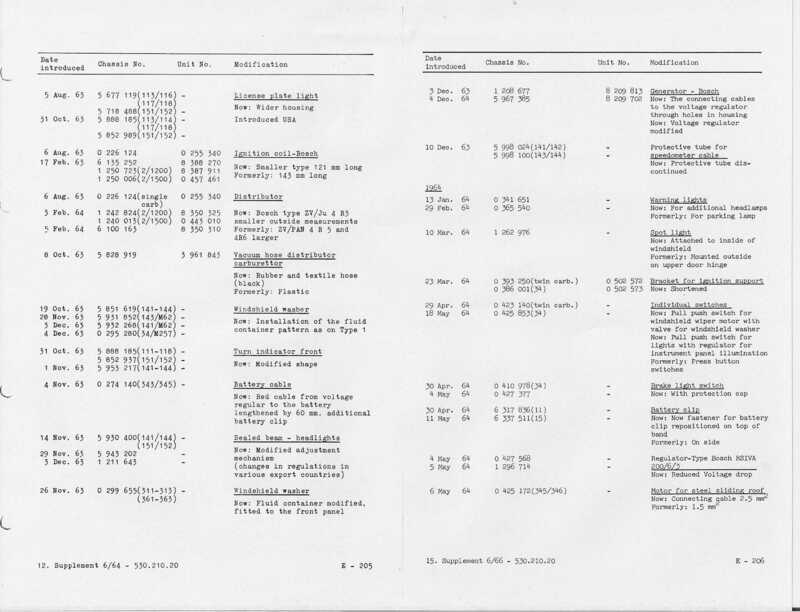 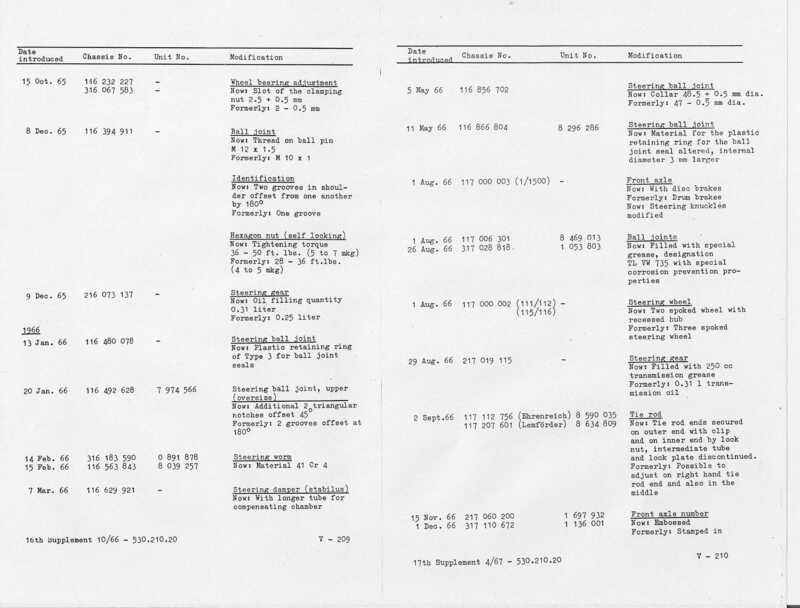 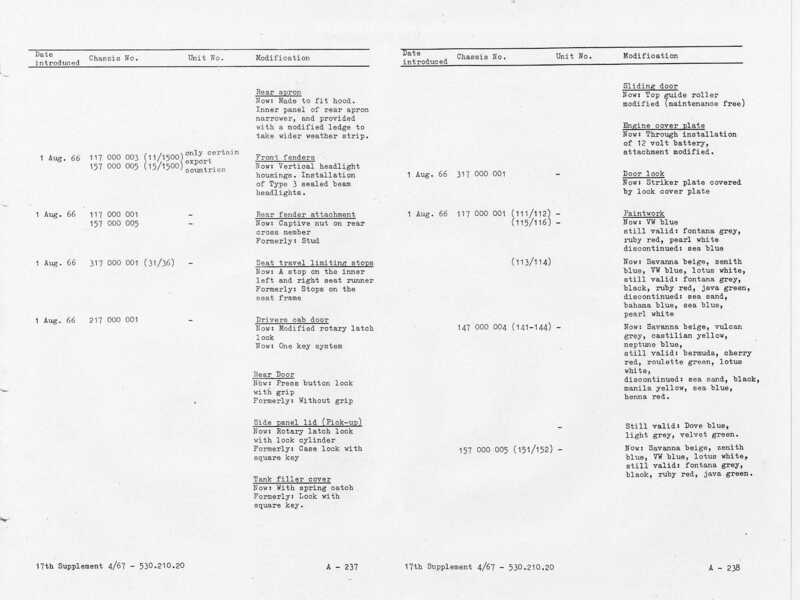 N 2/203 table Type 2 production figures for model year 1968.